Let’s begin the article with a humoristicquote from the venue “the legendary Islama meatball of Adapazarı that is converted into a family tradition, handed down its recipe, was born with the saying of like rhyme for children in the neighborhood. Its secret is behind the cooking technique of Islama (wet) meatball learned from family elders. Slice of bread is wet with bone broth. Meatball is prepared with pepper paste coming from Sakarya. A pot of buffalo yoghurt is put as siding. Children ask “what kind of a meatball”. Then they were giggled. Due to the reply of they took “It is not meatball, it is Isslama. The name of the “Isslama” has spread to all neighbor. 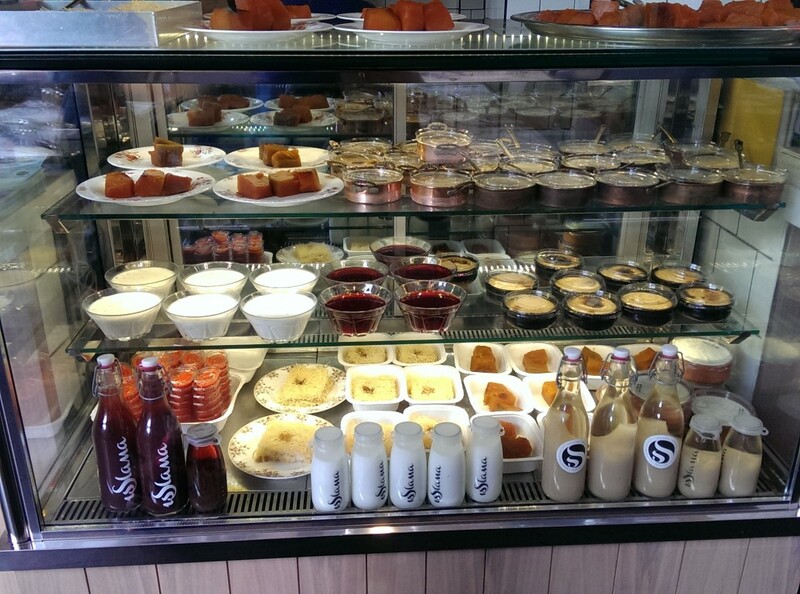 The people have come together and open an“Isslama” shop for the Adapazarı family”. 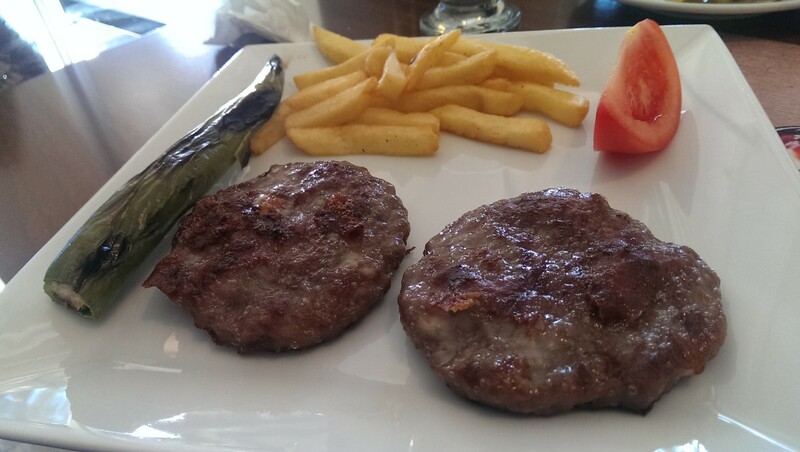 The first remembered food is the ıslama meatball for Adapazarı. What is this kind of meatball? Before we tasted this meatball we guessed about it that it is like Izmir style meatball. Actually, it is so different. Tiny meatballs are grilled and served with partly grilled bread wet slices dipped into bone broth with butter. So the wet one is not the meatball but bread. 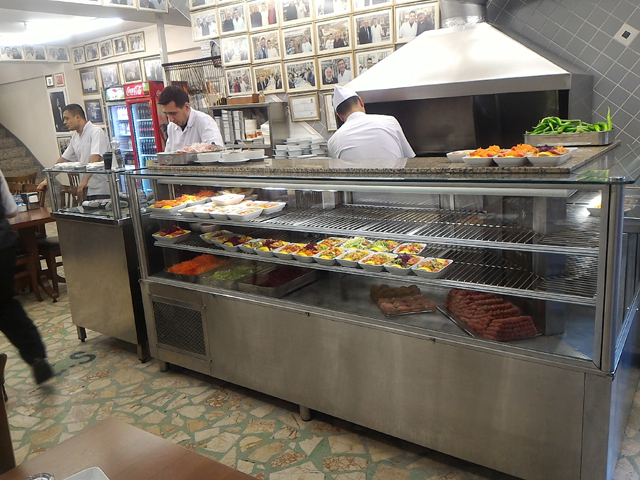 The first wet meatball shop has opened in 1912 at Adapazarı. This meatball job has reached till today has been transformed from father to sun. The interesting point is that Master Mustafa has developed this meatball for his toothless customers. But all the people in the region have liked this serving style and made it the symbol of the region. 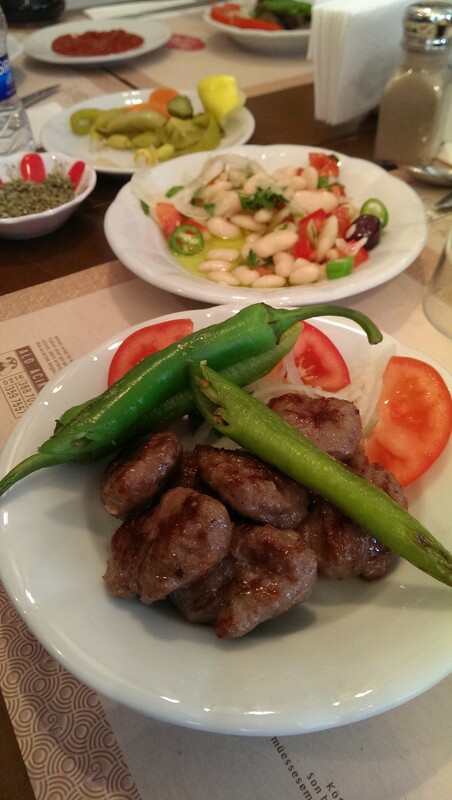 This meatball has been served to Istanbul people by AKO, located in Kadıköy along years. Newly opened and giving service with two branches Isslama seems to be demonstrate this meatball to the all regions of İstanbul. Because they are planning to open 10 branches at the first phase. We went to firstly opened branch in Acıbadem. Inner and outer areas were very wide. Especially the decoration of inner area was very nice. Everywhere was very clean. We preferred outer area. 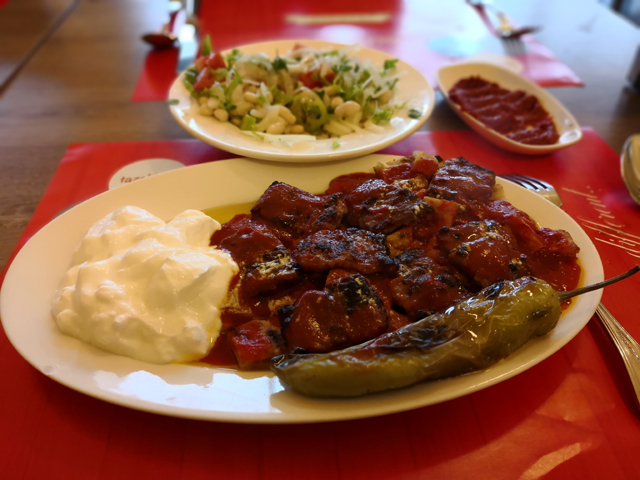 There are also available different servings of meatball in the menu: Iskender, yoghurt, hot and flat bread versions. But we chose of course ıslama meatball. We also ordered blarney with egg. 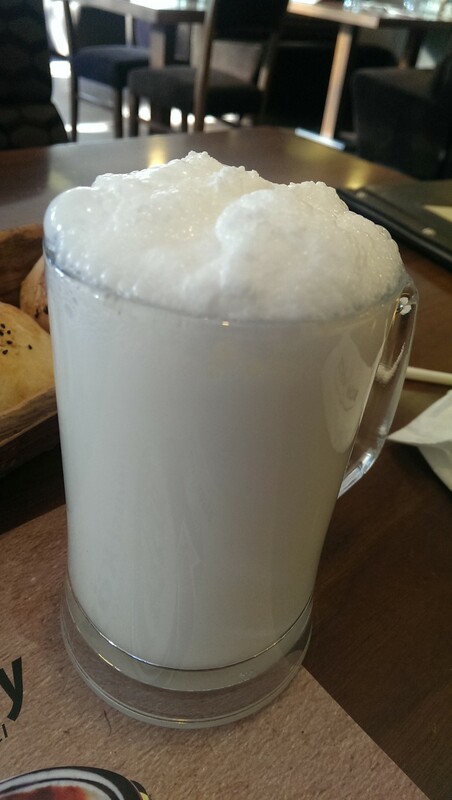 There were available also beverages (buttermilk with burned sheep yoghurt, white or red stum) as made by them. We tried the buttermilk. The balance of strained and burned yoghurt was so good so it was marvelous. They have created a wonderful taste. You can drop by here only even to drink buttermilk. 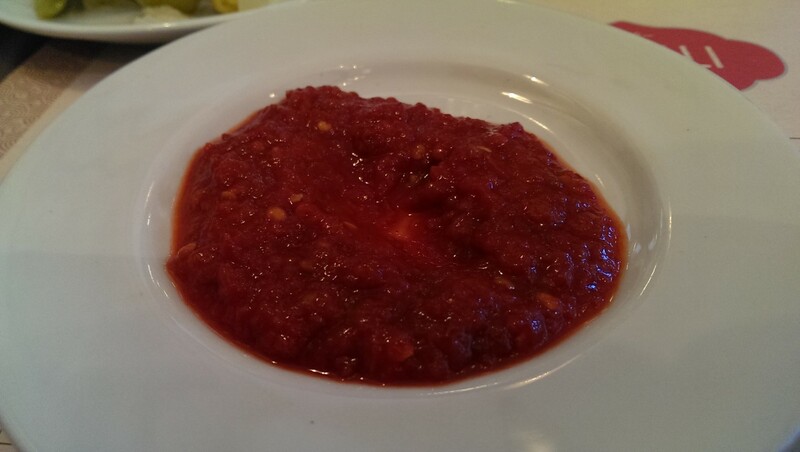 We started the meal with pepper sauce with a nice olive oil in a big plate. Light fried bread came as siding. Then the blarney came. What was that? 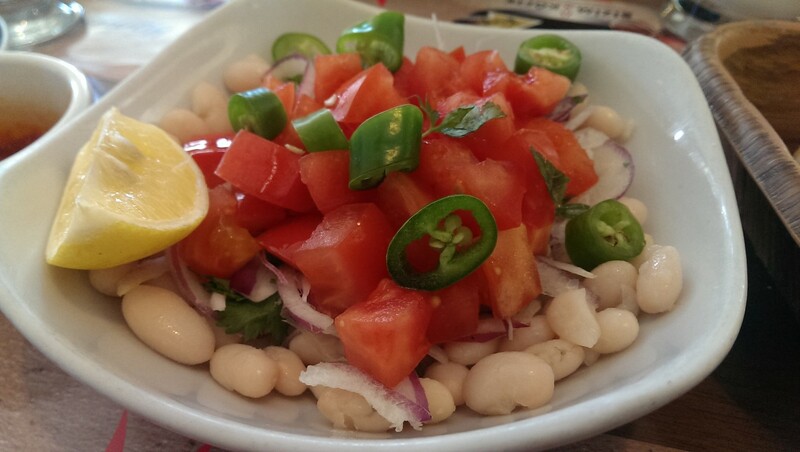 It was a huge portion composed of Bombay beans. We thought it was double portion. Actually it was the portion size. I have never seen a blarney with Bombay beans before. 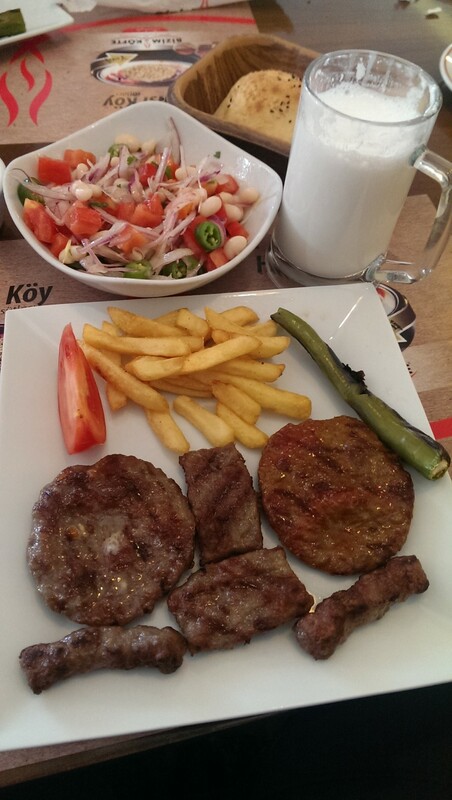 It is served at Adapazarı in this style. The amount of bean is very ample. I did not like it too much for a blarney but I also like the amount of it with ample olive oil and lemon juice. Tiny meatballs cooked at the right consistency were served with grilled wet breads at the consistency that exactly I want. 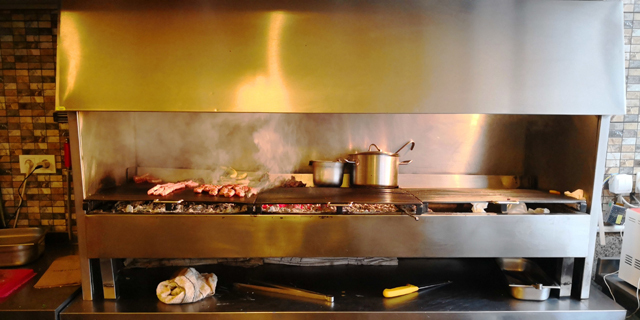 The breads serving here is harder because of they are grilled more. Too wet or soft breads do not appeal to our taste buds. It could be heavy for you if you eat too much. But it did not bother us due to there was no too much butter. 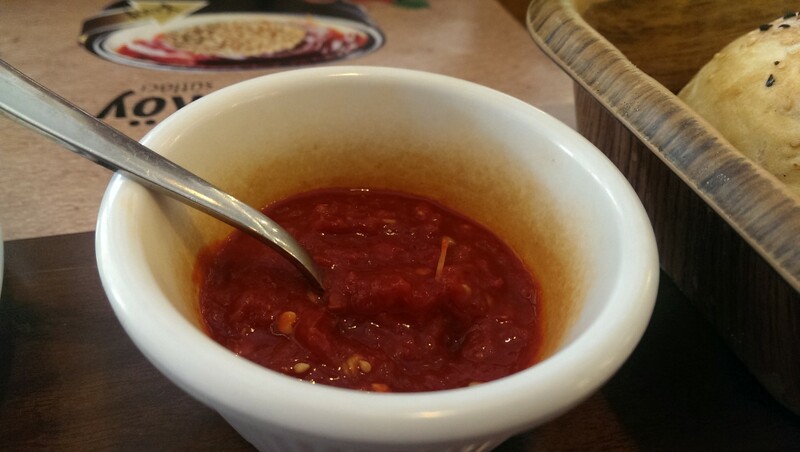 The sauce of wet bread is consisting a few spice. Meatballs are made by using % 45 veal, %25 lamb meat, onion, salt, black pepper, bread. It is cooked on the oak fire. 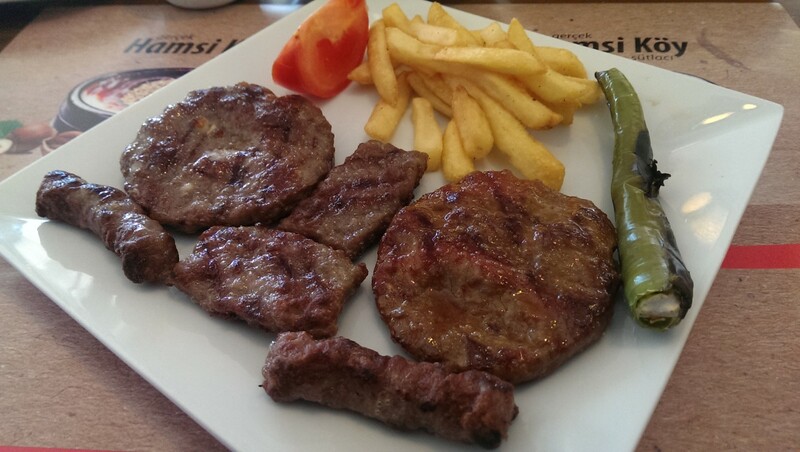 They are using the meats coming from Balıkesir, Gönen &Thrace regions. They are choosing the meats from butcher by them. They are cleaning and turning into minced meat. This mixture is aging for 24 hours. Then they are giving shape and aging again. So, preparing the meats are to be served as meatballtakes almost 2 days. They have 3 assertive dessert options after your meal. 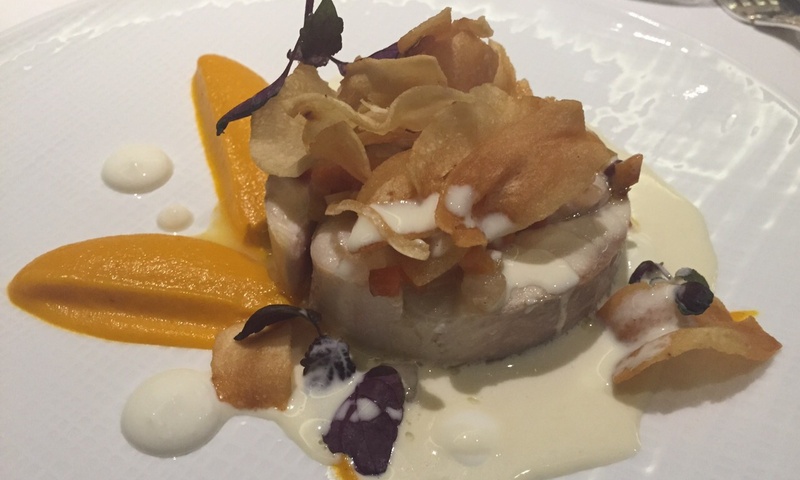 Shredded wheat in syrup with milk&clotted cream, buffalo rice pudding and pumpkin dessert with clotted cream& tahini. We could not take any of them; because we were full. We hope to taste the praised neighbor soup for the next time. 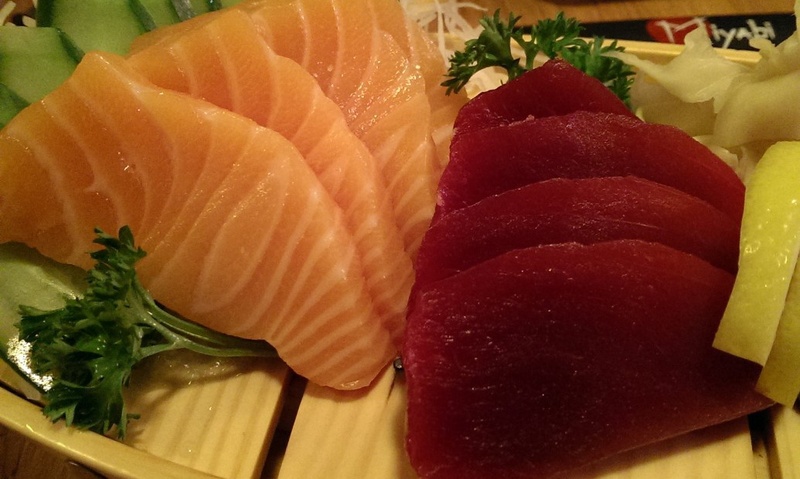 It is open between 11:00-23:00 for weekdays, 9:00-23:00 for weekend. Credit cards and meal tickets are available. #KanGurular Gültekin U. Taste: Meatball is yummy. Breads are nicely grilled. Blarney portion size is huge but its taste is average. Burnt buttermilk is awesome. 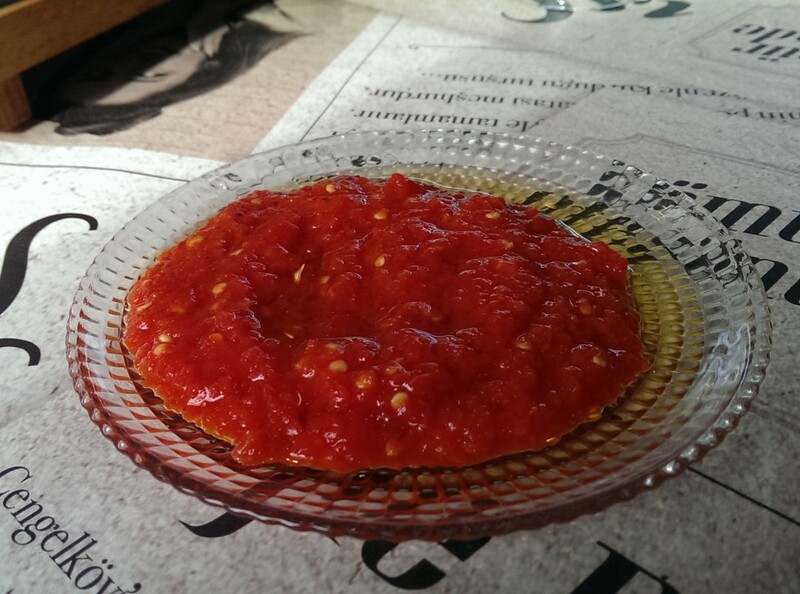 Pepper sauce with olive oil is an enjoying appetizer with light grilled bread. Braising: Breads and meatballs were cooked at the right consistency. Portion Size: The size of the meatball is small. 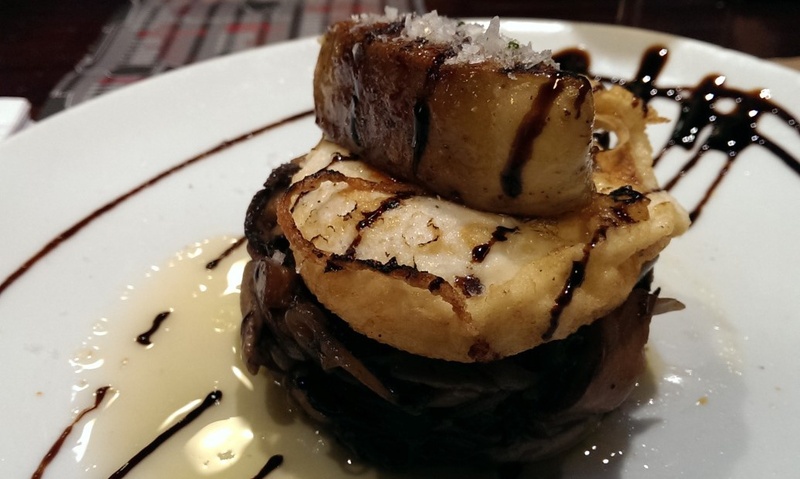 If you order also blarney additional to the offering appetizer, you will definitely satisfy. Hygiene: It is a hygienic and spacious venue. Service: Meatball was served in a rational time. Personnel were looked exhausted. They should be more smiling. Price: Islama meatball is 18,5₺, blarney is 8,5₺, buttermilk is 4,5₺, baked rice pudding 7₺. The price of meatball is a bit high according to its weight. The cost of blarney is normal according to its portion. Buttermilk is also deserving its price thanks to the sheep yoghurt as ingredient. 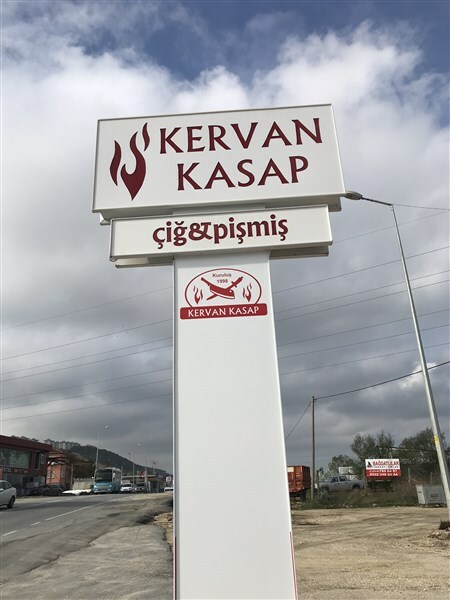 Kervan Kasap is located at the entrance of Çatalca. It is a business having 20 years past. Butcher section welcomes you at the entrance part. If you want, you can buy meatball and meat kinds as raw. It has a wide saloon laying towards the back. It also has an enjoyable garden to sit for fine weather conditions. We ordered butcher meatball and kashar meatball. They calculate your order by weighing. The price of kilo is 80-85₺. Meatball is made of veal. They have not used too much spice as a taste trick. 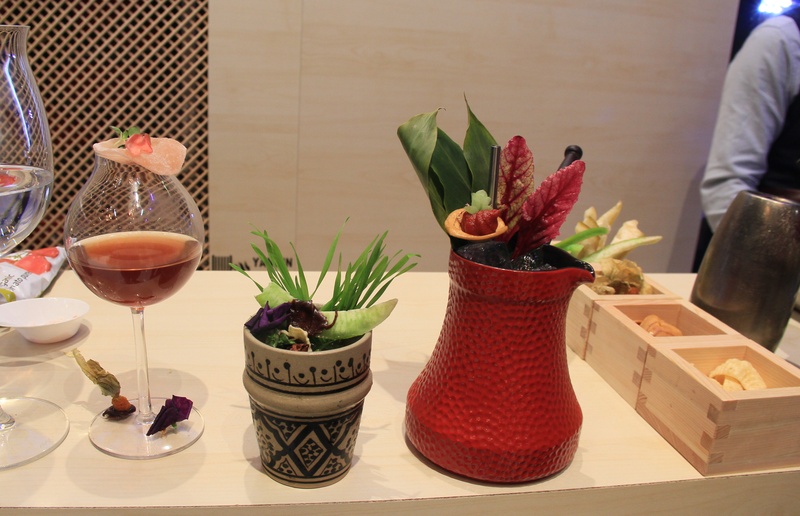 Its juice has flowed to plate as you see in the photos. It is up to you to imagine its taste. Especially the kashar meatball was so good. Tomato paste sauce was also very successful as siding. Blarney could be better by adding a better olive oil. They might have been used olive and egg. There is no open buttermilk. You can find Eker brand glass bottle buttermilk. Another subject that I want to emphasize that they are serving in metal pots placed into wooden services. So it is neither expose to heat loss, nor you can worry about hygiene. It is a serving style deserve clapping. Check is on the last photo. 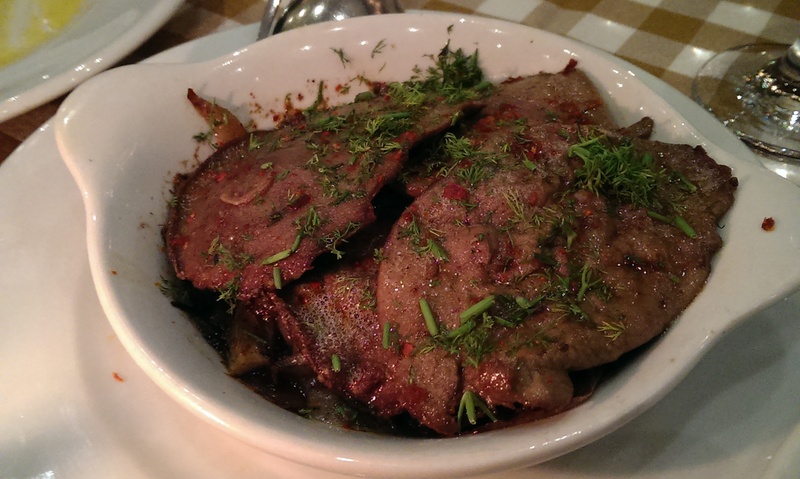 #KanGurular Erdi K.
Taste:I loved the meatballs that I eaten. Especially the one with kashar was awesome. Braising:Meatball was done to a turn. Portion Size: There is no a standard size. You can eat as you want. Hygiene: There was no problem in respect of hygiene. 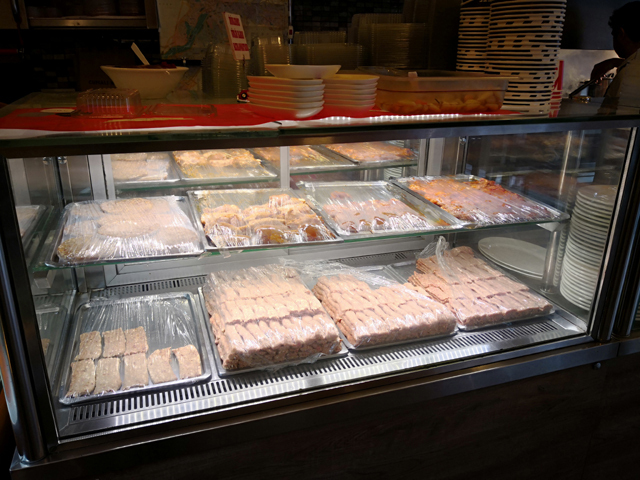 Meat counter and tables were very clean. Service: Waiters do not lose eye contact with you. Meatball was served in a rational time. Price: It is under the Istanbul average. It deserves a high point in respect of cost/performance. 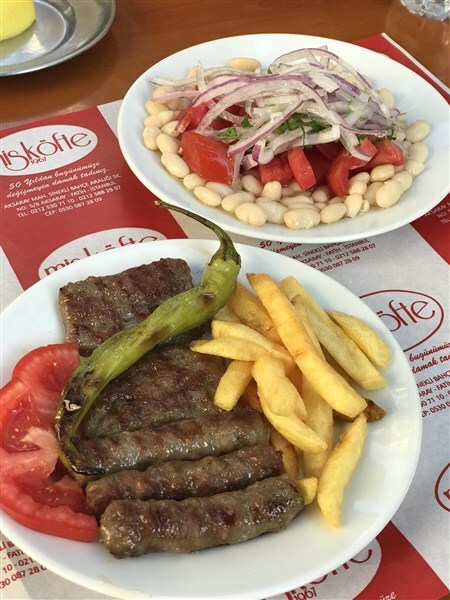 Mis Köfte is located behind two streets of Yusufpaşa bus stop in Aksaray. It is a little difficult to arrive by car. You can hardly find a car park except private parking areas. 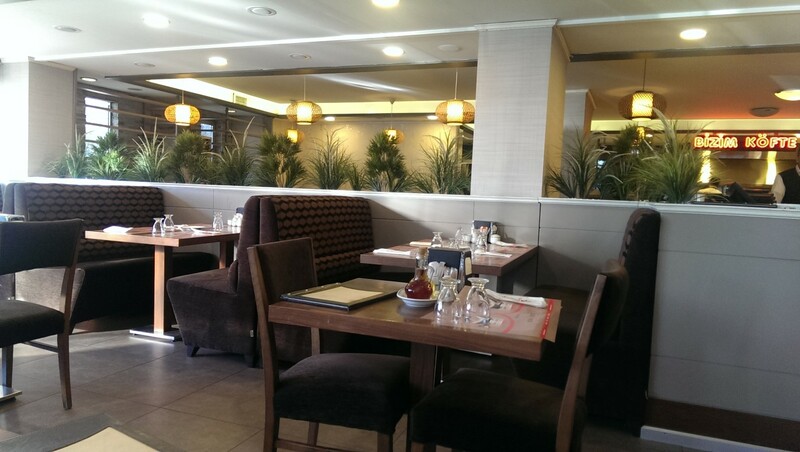 You see a few tables in front of it and a modest inner area. 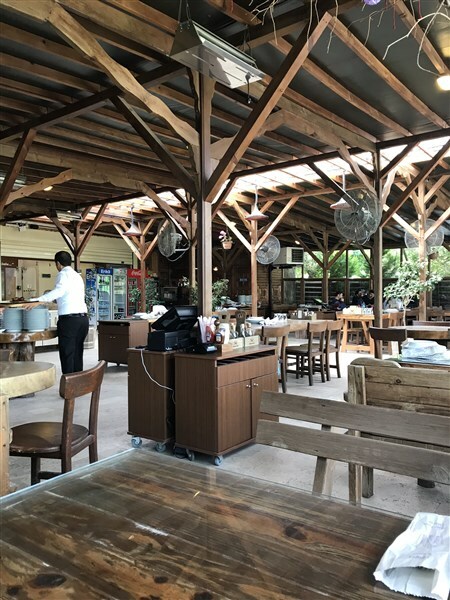 It is a typical artisan restaurant. The past of the venue goes back to almost fifty years ago. You can find finger, Mis, hot and kashar meatball kinds in the menu. Mis meatball is the specialty of the venue. It is served as square shape. Finger meatballs are like finger shaped like its name. We did not recognize any difference between them in respect of taste. Meatballs are generally do not contain any spice. Its taste met my expectations. Blarney could be better with a qualified olive oil. Portion weight is about 180 grams.There is no open buttermilk. Credit card is available. If we drop by there we might be visit again.#KanGurular Erdi K.
Taste:The taste of meatball is over average. Blarney is so-so. Braising: Meatballs were done to a turn. Portion Size: It weights is about 180 grams. If you are hungry; 1,5 portion will be a better choice. Hygiene: I did not see any problem related with hygiene. Price: The cost of Mis meatball is 13,50₺, finger meatball is 14₺. Tea is offering. The venue is located at Beşiktaş bazaar and it is a kind of temple for BJK fans. 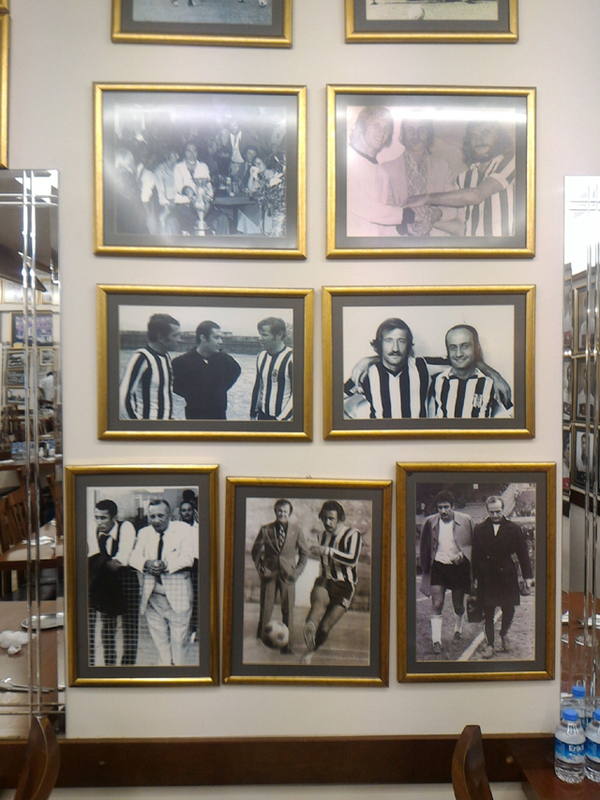 The walls of the venue is full of old photos and managers & successes of the club. Most of the people visiting here reviving the past and being happy by looking these photos. As soon as I enter the venue, placed a corner and wanted a menu. Chief waiter said“There is no menu. 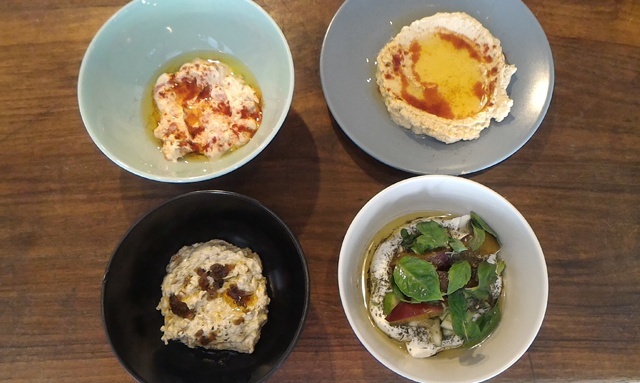 We have only lentil soup, meatball blarney and buttermilk” They have also made semolina dessert. If you want it, they serve it. I ordered all of them immediately. The portion (16₺) consists 8 very small meatball. 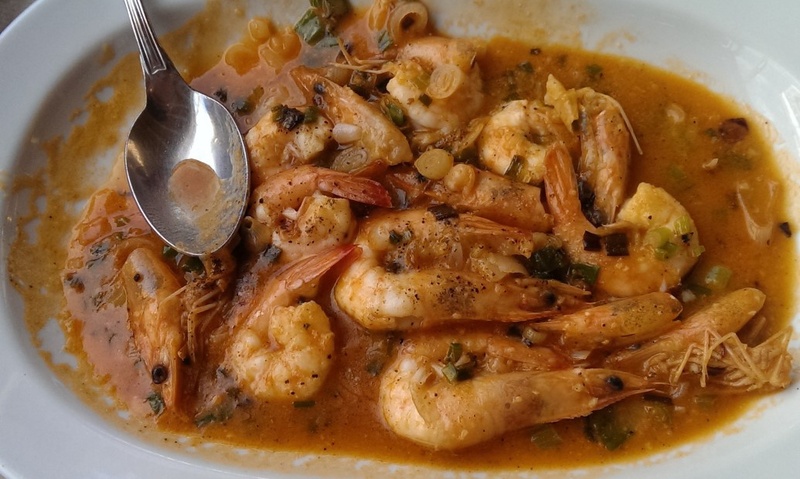 It is serving with roasted tomato, pepper and hot sauce. Blarney (6₺) was so good. It was almost original one in respect of ingredients. 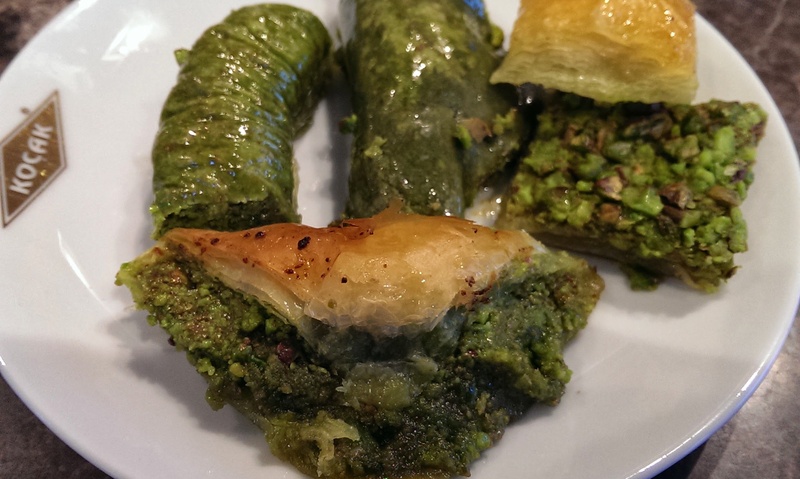 I also liked the olive oil inside it. The cost of Eker brand bottle buttermilk is 4₺. The price of semolina dessert is 5₺. The meatball is made of totally veal meat. It was very delicious. I only did not like the dessert among food I ate. The semolina pieces was too sticky and not roasted enough for me. They do not prepare tea but if you want to drink tea they bring from the café across of them for free. It is a typical artisan restaurant. #KanGurular Fuat Ş. Taste: Meatballs are from veal and rib. It was very delicious and fatless. They separate in mouth. 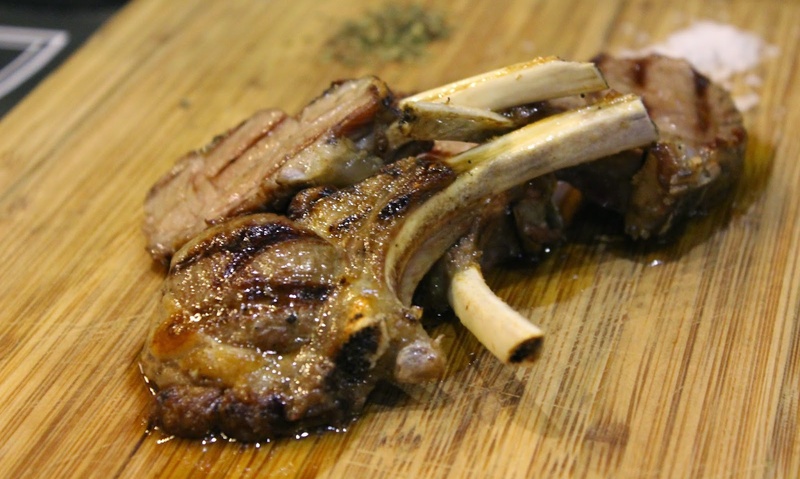 Braising: They are talented about barbeque grilling. Meatballs always cooked in the same style and turn. Portion Size: the size of the portion is a bit less for me. It looks that 1,5 portion is more satisfied. Hygiene: Though the staff and decoration of the venue were old, everywhere was very clean. There is no problem about hygiene. Service: Chief waiter is dominate to the venue and he never neglects you. You can contact with him everytime. He is also very warm. Price: The price of meatball is 16₺. It is moderate according to portion size. The prices of blarney and semolina dessert are also moderate. Price of bottle buttermilk should not be 4₺. The venue is located on the corner of street where Karaköy Lokantası is located in Karaköy. The historical pattern of the neighborhood even reflected to the name of the street. When I went to the venue for lunch, I have experienced to find an empty place not a free table. You can feel the aged of the venue from its classic &simple decoration. It has a plain menu. Meatball, blarney, steak and grilled chicken. I ordered meatball as portion and blarney. There was not open buttermilk. Oil-vinegar duo is ready on the table. They asked me if I want additional onion for blarney or not. It is a good manner for customer. My blarney came to firstly as I wanted, with light onion. They were also addedvery thin sliced lettuce&carrot on it. Beanshave cooked nicely. Portion size is also enough. My meatball order was not late too much. Meatball portion consists 6 pieces of meatball, bulgur rice, thin sliced lettuce&carrot and grilled pepper. The mince of it is light fatty. 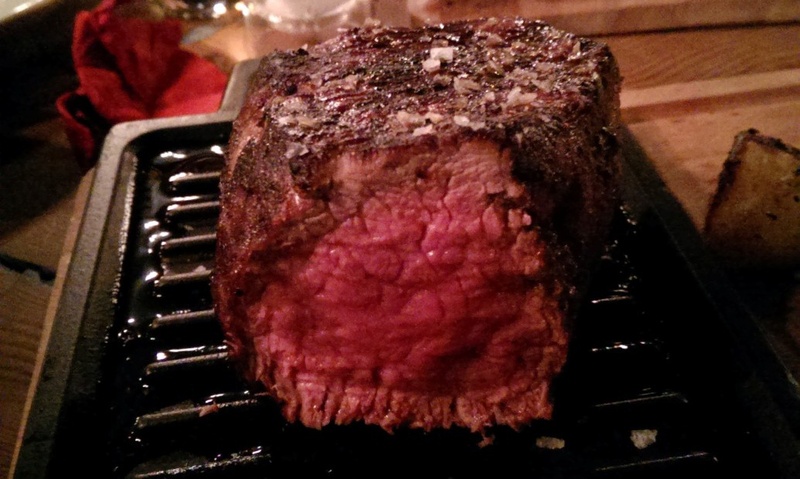 It is cooked on coal fire as light juicy and done to a turn. I liked its taste. The size of one portion is less for me. If you make a menu by adding blarney; it will be satisfying. 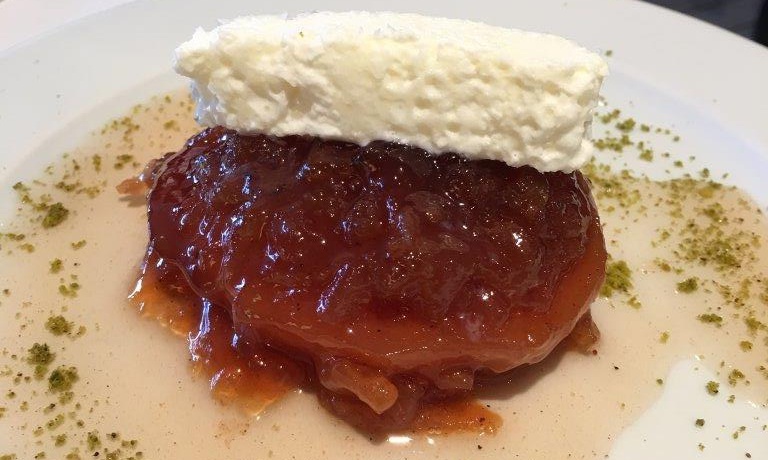 If you eat the the only dessert choice, sponge pastry rolls in syrup (kemalpaşa) you will definitely full. 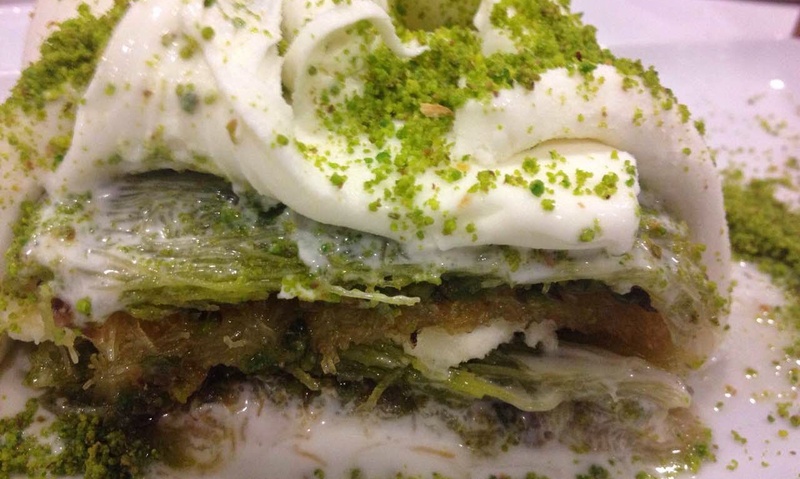 Previously, they have made kemalpaşa in summer; revani dessert in winter. 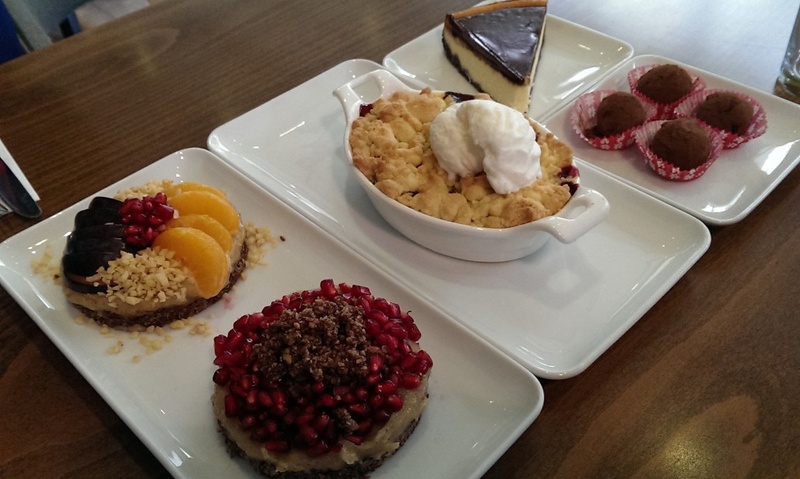 Due to there are famous dessert shop choices are around; the demand has decreased. So, they have started to make only one dessert. I chit chatted with the last owner, Seyfettin Master when I paying the check. 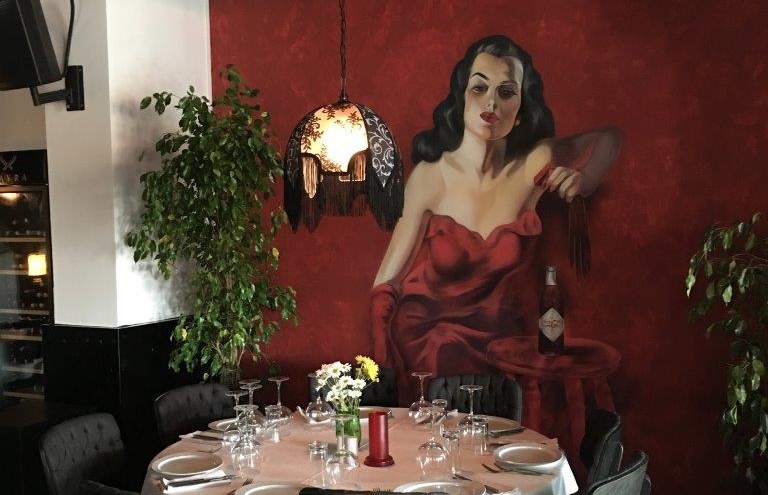 The establishment of the venue laid back 1960 at Karaköy. They have moved to their last place in 1970. The roots of their name based to their relative relationships. 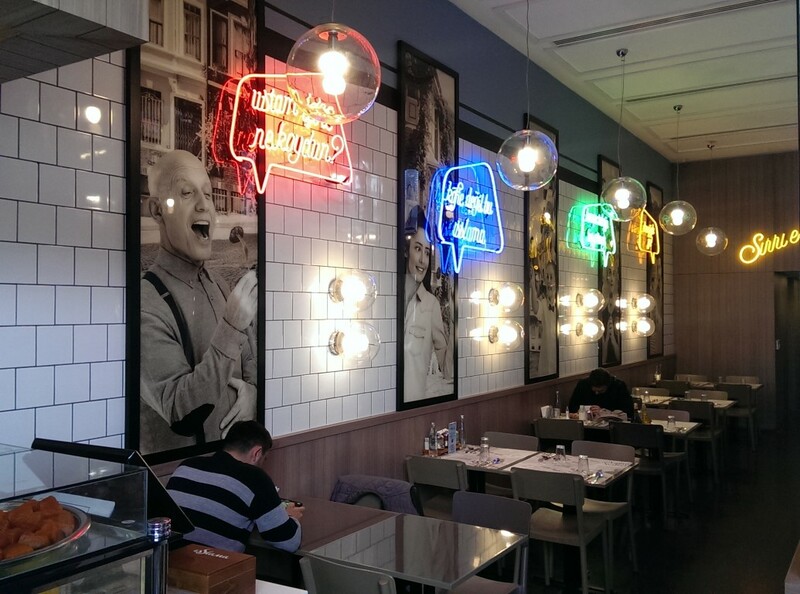 Meatball shop has been setup by the uncle of family. Then, it has transfered to his nephew. Now the uncle is Seyfettin Master and working with his nephew in the small shop. They see themselves as the representative of Rumeli style meatball. Their roots are basedon Plovdiv city. Mincemeat is made by them. It is from %100 veal. They are adding cumin, onion and bread into it in small quantities. 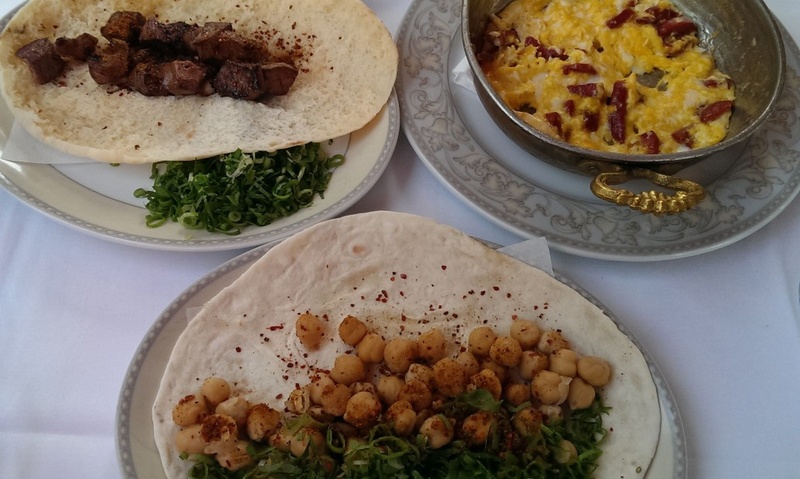 It is one of the rare aged venues in Karaköy making Rumeli style meatball,having an original meatball recipe. There is no open buttermilk. They are working until late afternoon like a typical traditional place. 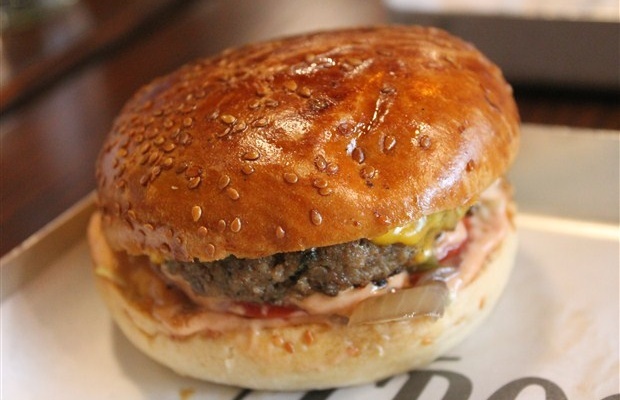 It is only avaliable for lunch or late lunch. If you want to eat and over average taste; I can advise here first. 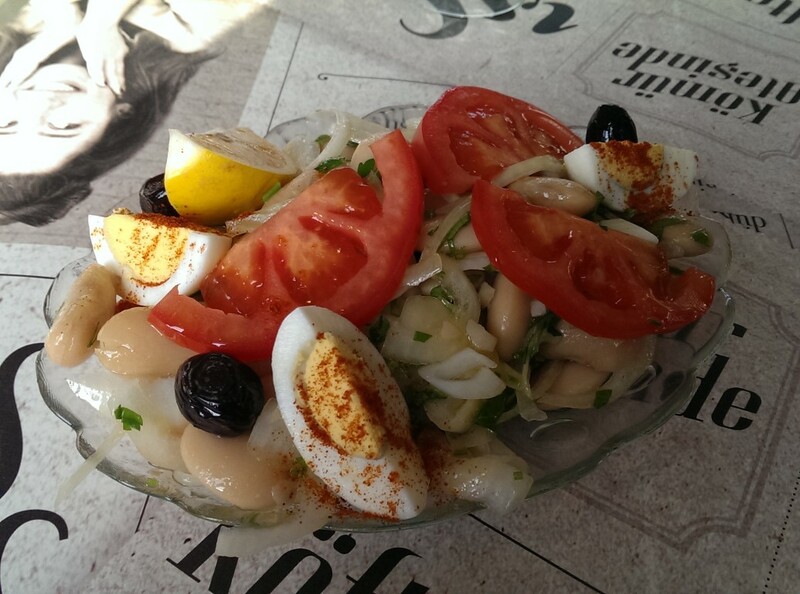 #KanGurular Erşen T.
Taste: The venue has an original meatball recipe. They emphasize that they made Rumeli style meatball. 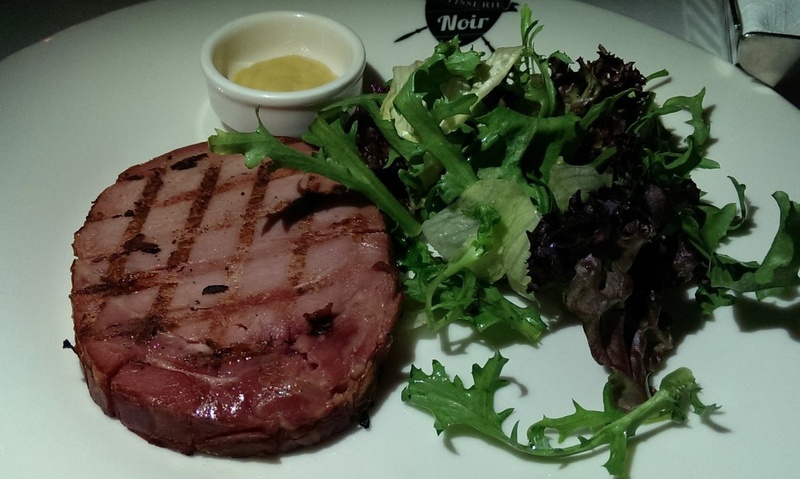 The important thing is putting forward the taste of meat. They are also made butcher, they use the most appropriate parts of veal. I generally liked the taste of it. I can’t say “I love it” but you can easily feel the difference. The taste of meat is nice. Spice level is not dominate. You can hardly find any place in city making meatball so carefully. I found standard the taste of dessert. Braising: The braising and juiceness level were ideal. Meatballs are tiny, round shaped. Portion Size: It contains 6 pieces of meatball. Its weight is a bit little for me. The presence of bulghur rice is nice as siding. We also think the bread support coming to table you can satisfy if you are not too hungry. This meatball deserves to be eaten 1 ½ portion without blarney. Service: Personnel were used to service to crowd. It has a dynamic team. After my order, my blarney and salad came to table. They were very fast for a full capacity venue. Price: The cost of portion meatball is 16₺. It is a very moderate price according to its size. 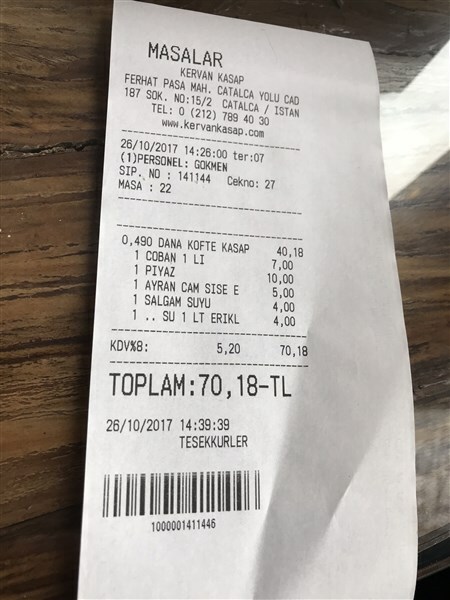 The cost of blarney&desserrt 7₺ cuttermilk is 2₺. If you prefer meatball+blarney menu, its cost is 19₺. These prices are also normal for me. 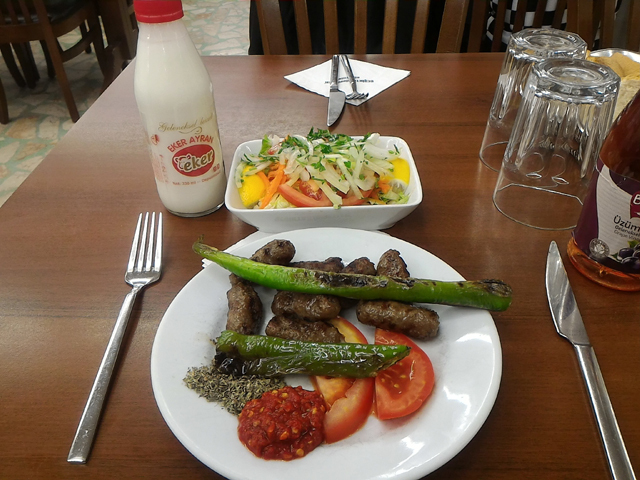 Bizim köfte near to the place where I worked that satisfying us for years by taking away; not shamed us when we visited with our guests. We sat down to there while we were passing by it. Because we were hungry and we also wanted to remember the old days. Every single meatball is different in respect of taste, texture and shape. We ordered mixed meatball plate and kashar meatball. 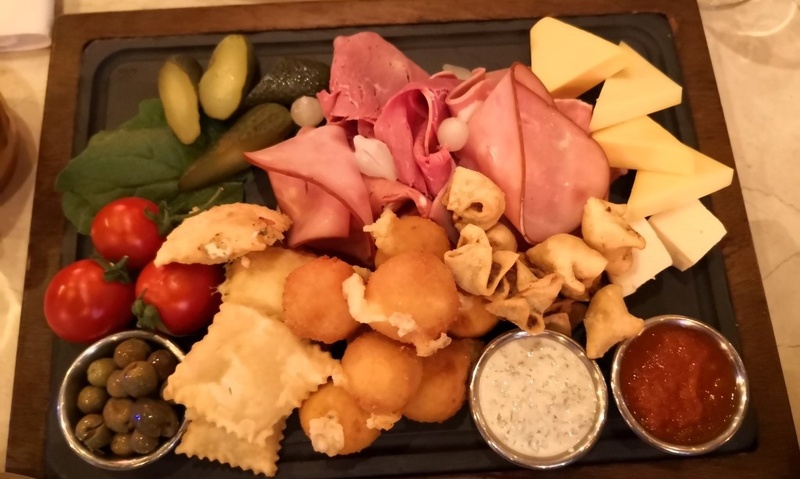 The mixed plate was containing finger, bizim, kashar and hot meatball kinds. You can try all meatball kinds with this plate. 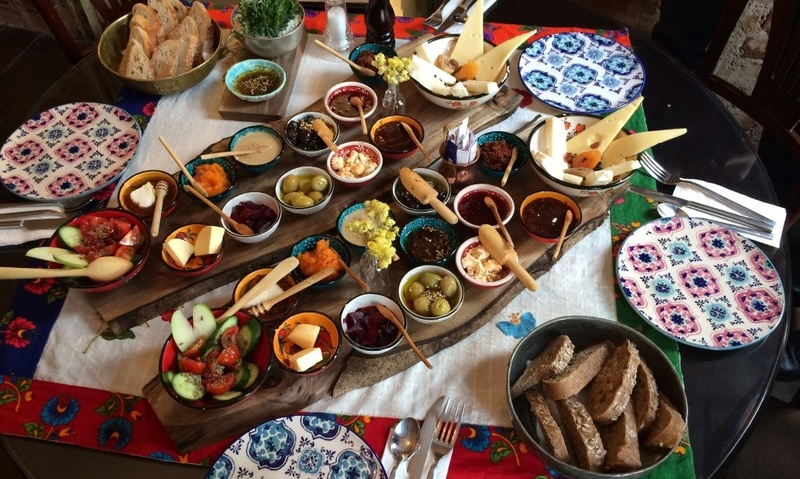 After they took our orders, hot pepper sauce, pepper pickle and hot puffy pitta breads with sesame&black sesame came to the table. These hot breads are going well with sauce&pickle as appetizer. As I expected the taste and grilling consistency of meatball were still the same that I have eaten for 8-9 years.You should celebrate here for this stability. We also ordered the best siding, blarney for meatball. It was not awesome but satisfying. The beans were not Ispir origin in the blarney. So, the taste of the beans in here are under the behind them in respect of taste though they have boiled the right consistency. 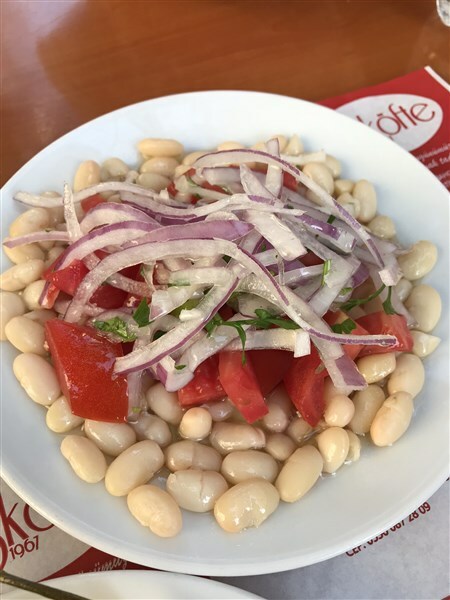 Ispır beans have really a high-level taste. Lets talk about the its history. 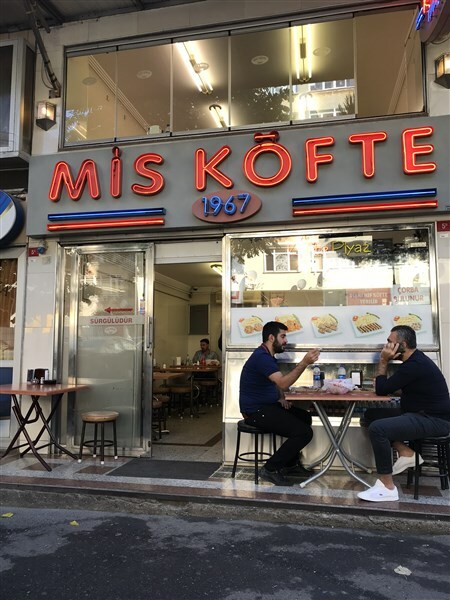 The family immigrated from Kosovo has started this journey by opening “Mis Köfte” (it is still open) at Aksaray in 1967. 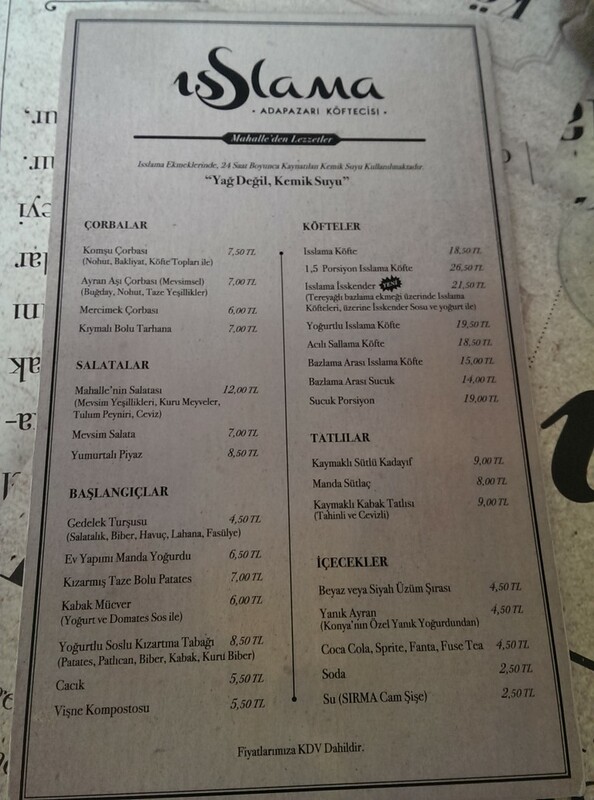 They try to service to all Istanbul branching by Bizim Köfte. Altunizade branch is active about 13 years. Meatball is made of totally veal. They add spice and bread according to meatball kind. Kashar, hot and finger ones contain a little sheep meat. 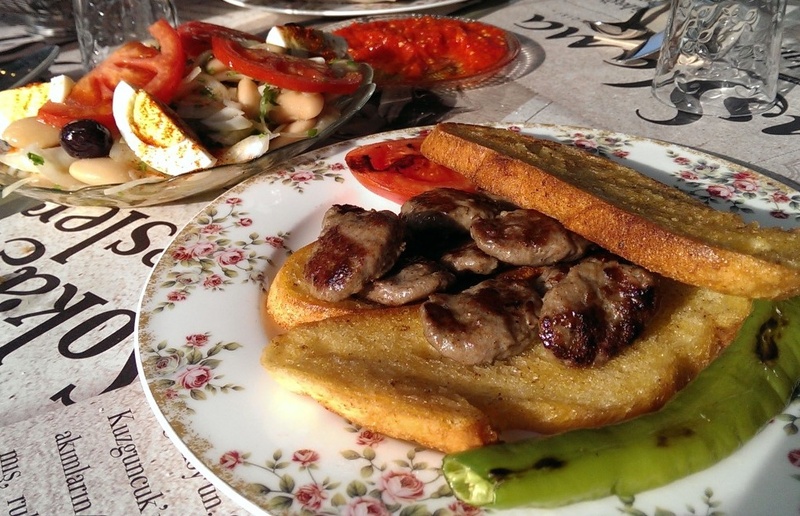 They buy the veal from a farm located in Afyon. They prepare a delicious meatballs mix by using different parts of veal. 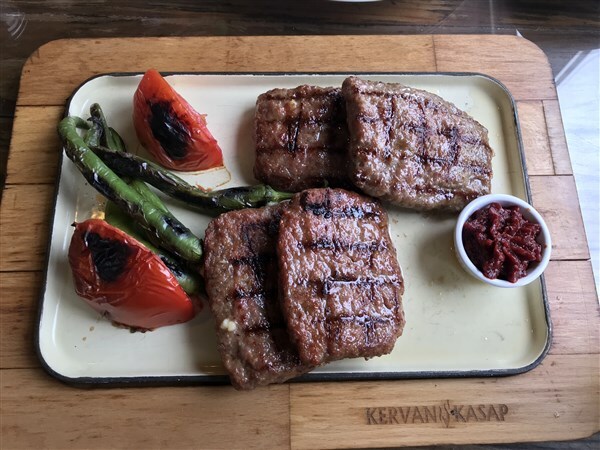 Their signature meatball is Bizim Köfte that is also bearing the name of venue. It is no spice in it. Its taste is coming from only taste of meat. All products are coming from center not frozen by protecting cold chain. Products only served as daily. Remaining onesare not servingfor the next day. Meatballs are cooking on coalfire barbeque. 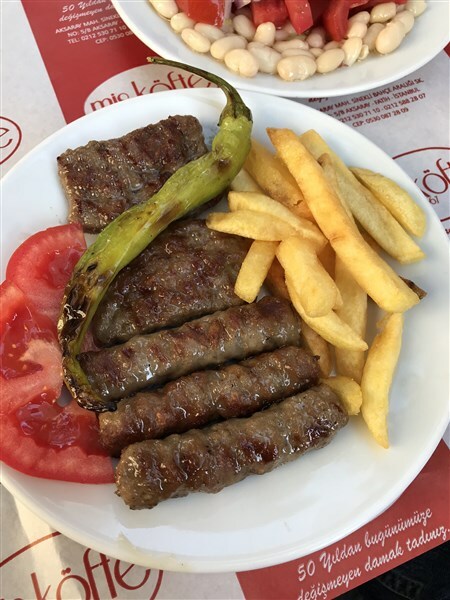 According to the story told at the venue the customer visiting the venue by chance who has eaten this meatball at Mis Köfte in Aksaray before recognize the taste and ask the question of “Do you have connection with that shop? “The cooking style and recipe of the meatball have never changed until now. They are serving open buttermilk that is not bad in respect of taste as siding. We did not want to eat any dessert after meal. 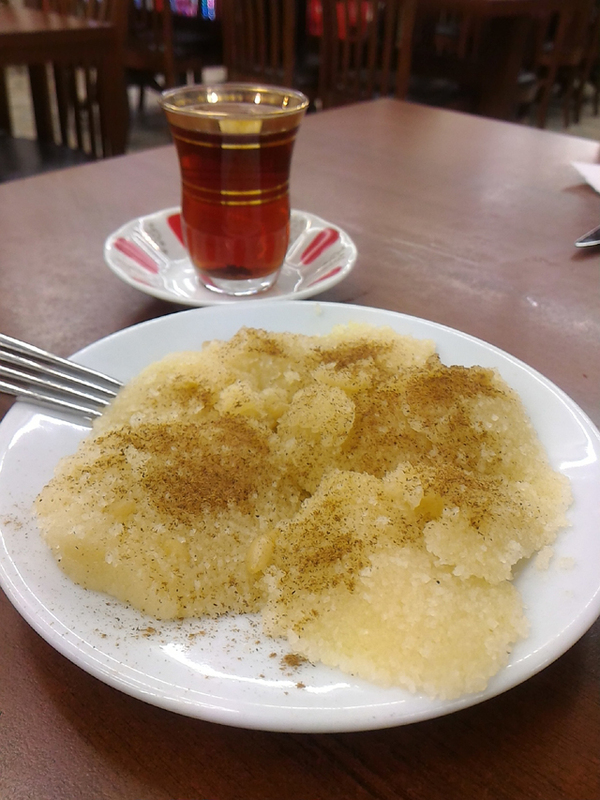 They advice sponge pastry rolls in syrup (Kemalpaşa), Hamsiköy rice pudding and semolina halva. The ambiance of the venue is so successful for a meatball shop. You can eat also as family in here. The venue is open between 12:00-22:00. Credit and meal cards are available. #KanGurular Gültekin U. Taste:The meatball is assertive due to it is light spicy and satisfying is respect of taste. If their meat might be more delicious; you can eat a more wonderful meatball. Open buttermilk is over average. The taste of blarney is average; its freshness is successful. 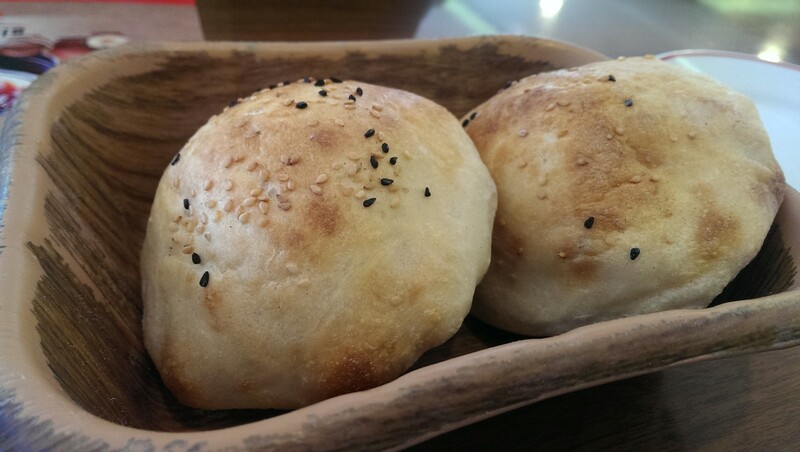 Hot pepper sauce and pepper pickle and hot puffy pitta breads with sesame&black sesame were wonderful. Braising: Meatballs have been cooking at same consistence for years. They are very successful on this subject. Portion Size: Mixed meatball plate is satisfying. Other plates might not be satisfying without blarney. Hygiene: It is a calm and clean venue. Service: Meatballs were served in a reasonable time. Staff are very experienced. 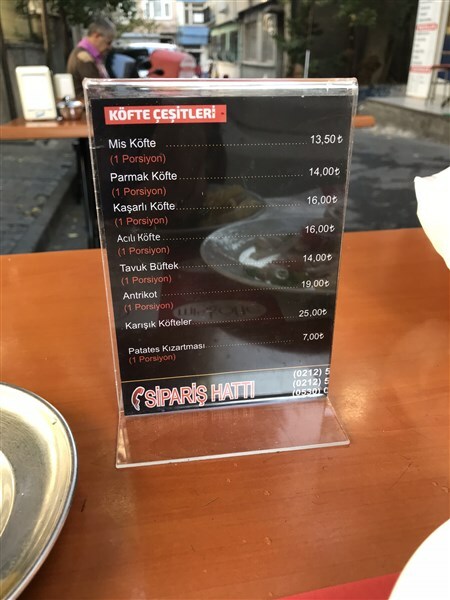 Price: The cost of mixed meatball plate is 28,5₺, other meatball plates are 19₺, blarney is 8₺, open buttermilk is 4,5₺ , dessert kinds are 8₺. The price of mixed plate should be more affordable. The prices of other plates are a bit high according to portion. Other prices are normal. We are going to a meatball shop that we are curious about its name, logo and location. What is that? To my surprise the owner of here is Efkan Bey who is also owners of “Şaşkın Balık Efkan’s Place”. Nothing could be further from my mind meeting in a meatball shop. 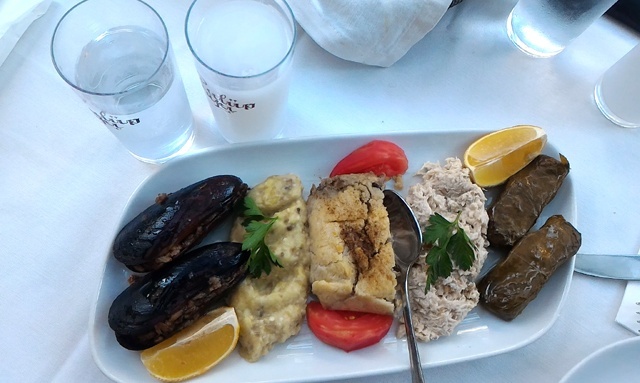 Şaşkın Balık is already one of our favourites venues that we visited it has firstly opened and from time to time. 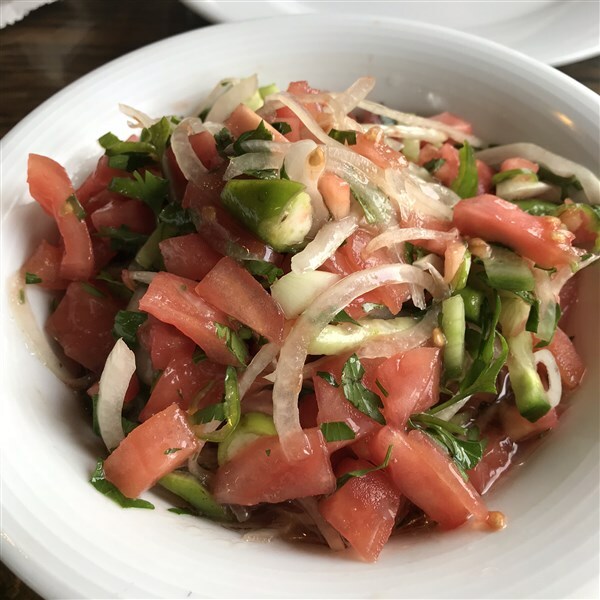 When we asked the questions to him like why you chose Erenköy and the meatball shop? 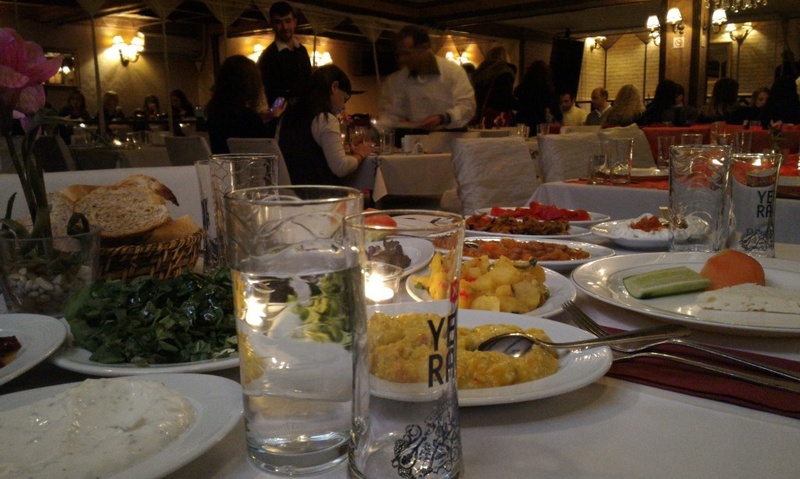 Why its name is Vefalı (faithful) the story of the venue and family has started. Mersin apartment located next to Vefa Bozacısı was a student dormitory once upon a time. His grand uncle was working as the responsible of this dorm. Father of Efkan Bey has visited his elder brother from his village at his 6 aged. The couple have the dorm, not having a baby unfortunately. This couple has loved this boy, adopted and educated him at Vefa Secondary School. The name of Vefalı is both an attribution this neighbourhood and expressing the duty of loyalty for this people. Actually his father has been making meatball since old times. 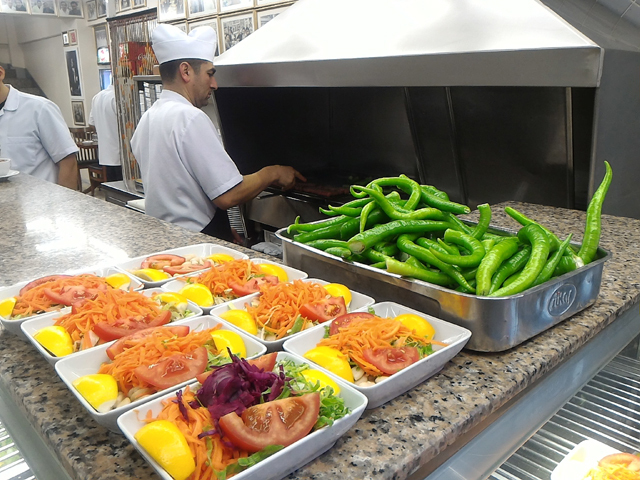 They were firstly rented a booth shop in Laleli, across of Taşhan. They had equipment, meatball but their money was consumed and could not afford the bread to start the business. At that time, their nephew has wanted to be partner. So, they made him buy 10 number of bread and started to business. 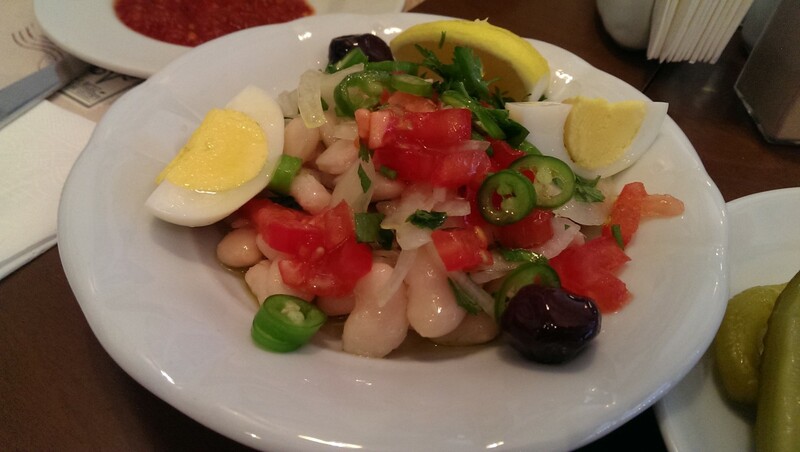 First they had moved to Merter, than Zeytinburnu and the meatball shop has been closed. Efkan Bey was earning his money working at Pera Palace Hotel by wiping forks, knives. His biggest dream is to open a popular fish restaurant. As the time goes by he has realised this dream. His second biggest dream is to continue the meatball tradition of his father. Now he has been under way for about six months in this their second journey with his father. 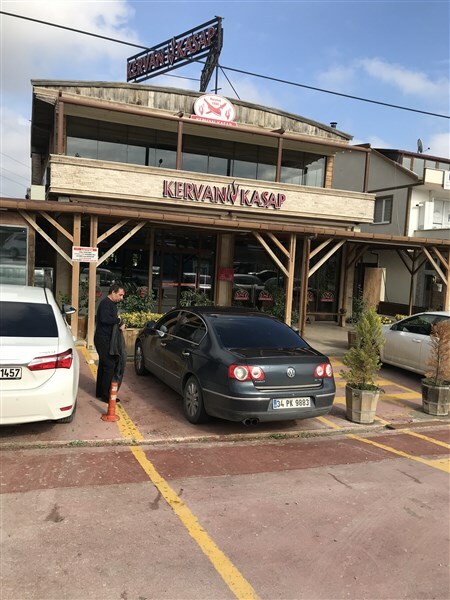 Efkan Bey said that “There is no qualified meatball shop especially at about Erenköy, Suadiye for weekends.” He requested help from his father to be realized his dream on “Vefalı Köfteci”. His father (Hasan Master) set two conditions. The first one is to open the venue on a backstreet not too busy. He does not want to visited any customer saw the venue, he wants the only customer heard about it. The second one is raising his own cattle for the meat using in meatball. Efkan Bey admitted both conditions and they were partner of a farm raising suckling veals with natural methods in Cunda. They are feeding the cattle with barley, feed and natural herbs in this farm. They do not use products spoiling the taste of veal like silage and cossette. 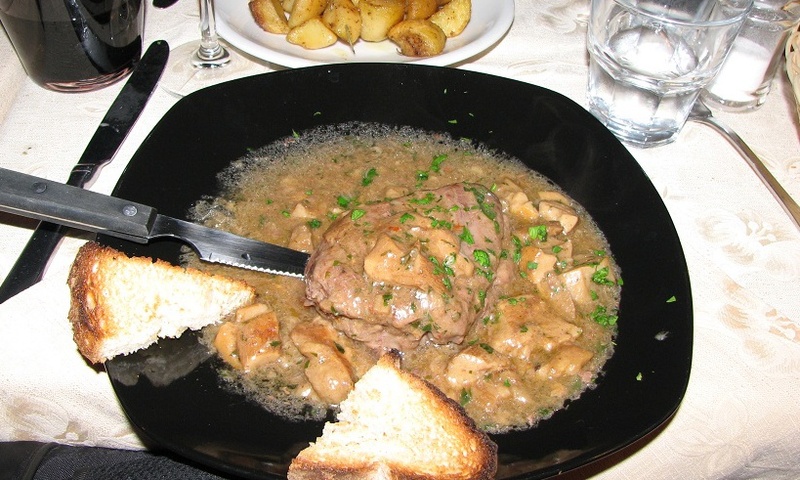 They do not mix any other meat into veal. Suckling veals are cut immediately when they became 18 months age. There is another nuance. They grind the meat not in a butcher but in their own machines. So there is not any confusion with other products of butcher. As a result of so much attention and effort a tasty meatball is emerging. Let’s talk about meatballs. 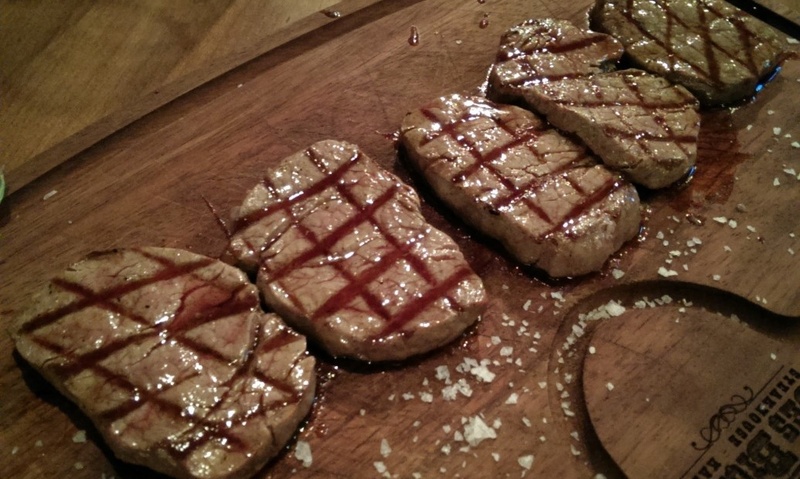 They are made from %100 suckling veal, salt, black pepper and a little bread. They are also adding very little soda to ease the stomach. The venue is very nostalgic. 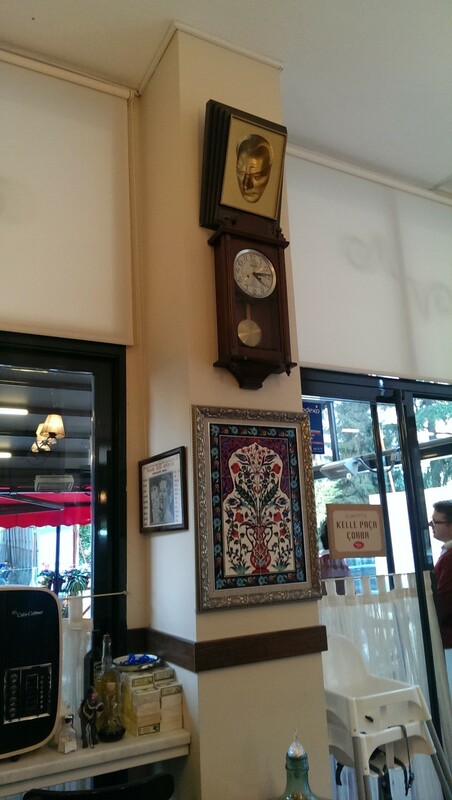 There were old style decoration, historical photos, an old still working TV and some Turkish classical music songs on the background. They put a small menu for us. The first thing we drew our attention in it is faithful soup. We tasted it as half portion because of insisted advice of the waiter. We wish to order as full portion. It is a very different and tasty soup. 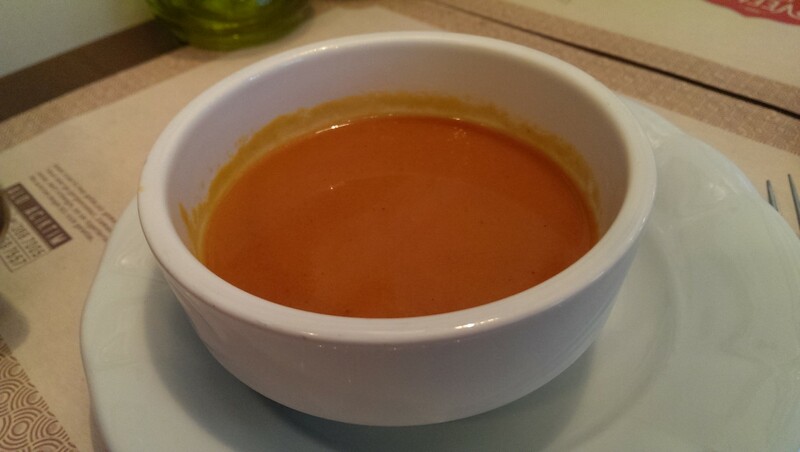 It is consisting tomato and pimento, butter, pumpkin. It is cooking on the oven along 2 hours. When we asked how they found the recipe of this soup? a second story has begun. 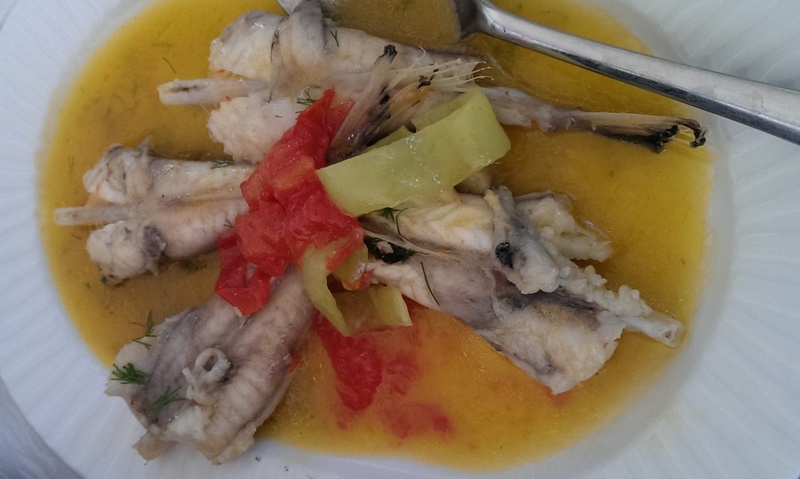 An emigrant man has made this soup in Bodrum 35 years ago. 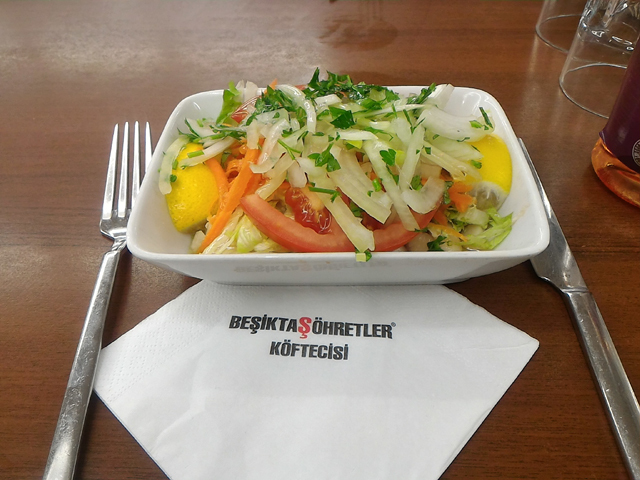 One of his friends, Muammer told that towards the opening of Vefalı Köfteci “Efkan, you are leaving the lentil soup, I will teach you another spectacular soup” actually, Muammer has wanted to learn the recipe of this soup from the emigrant man as he drink it for a long time. But the man never gave the recipe to him. After a long time, Muammer was offended and stopped to visit him. After a while the man was called Muammer and asked him “why did not you come to me? He is reproaching by saying “I have come to you along three years and you did not give me even the recipe of it” the man replied him “Come, I will give you the recipe” Muammer said “Why now give it?” the answer is sad “Because I have 3 months to live. I will give the recipe, take it and give someone who has a dream. This is my will for you” After an adventure lasting 35 years it arrives to Efkan Bey and his father. They named it faithful. It is such a valuable recipe. You should definitely try it. 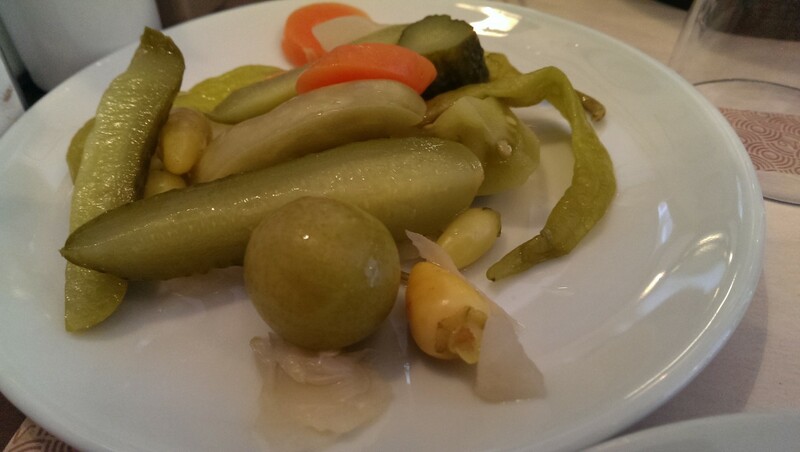 Mixed pickles plate and hot pepper sauce being served together with it. 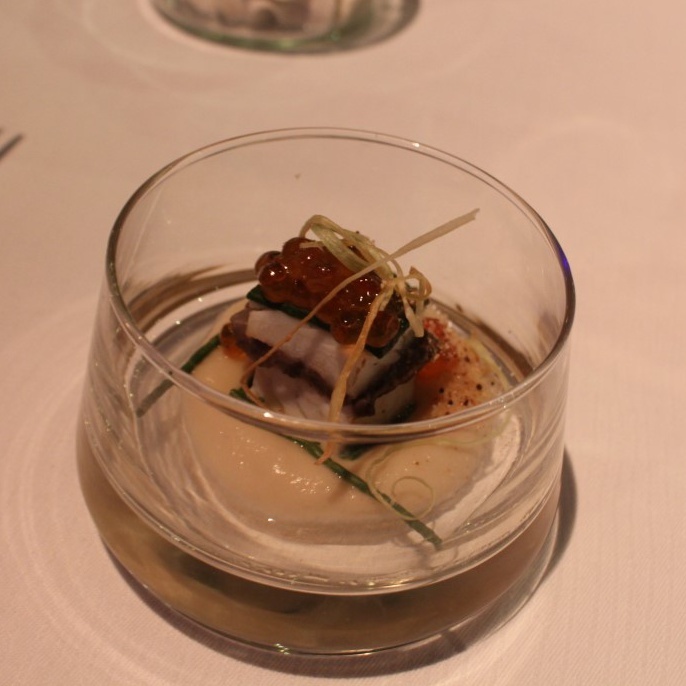 Of course blarney has come with its egg and olive. Right away, after that our meatball plate came. Blarney is delicious. They have paid away with olive &egg. Meatballs are round shaped, juicy, light elastic and yummy as small portions. 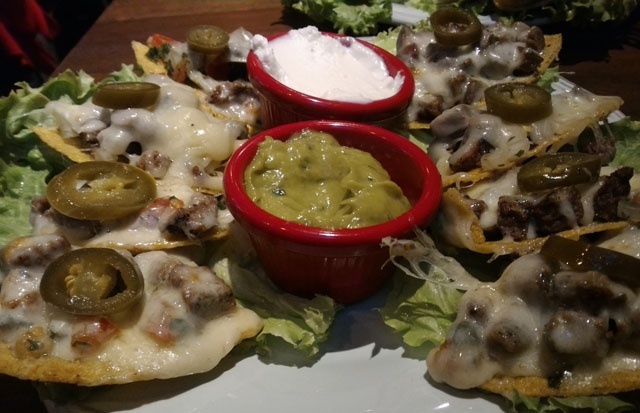 You can feel sadness by saying “Damn it why I ordered one portion?” towards the final of the plate. Meatballs are cooked by father of Efkan Bey. Breads are made in stone oven with oak fire. 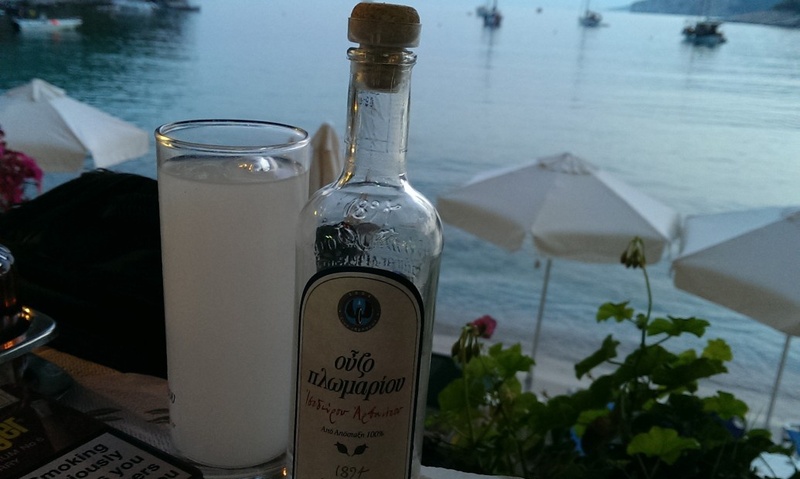 They provide olive oil from a delicate boutique producer from Crete. It has low acidity and high fragrant. It matched very well with blarney. There is no open butter milk. 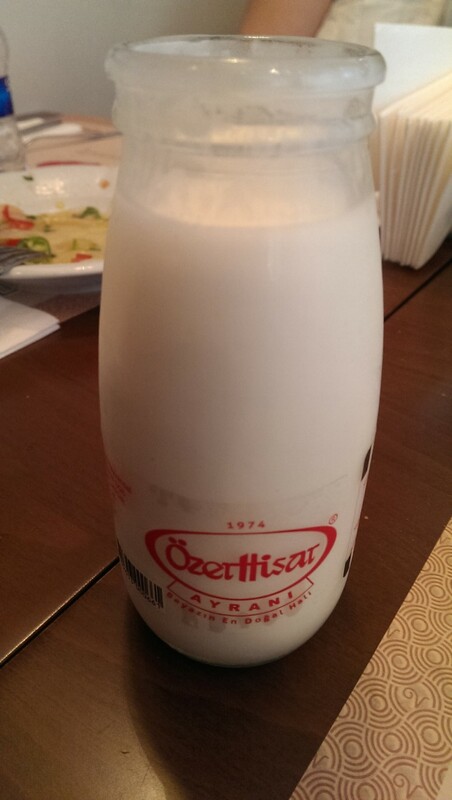 They have Özerhisar brand bottle buttermilk that is popular and steadily spreading to Istanbul. It has a nice butter milk light sour and natural. 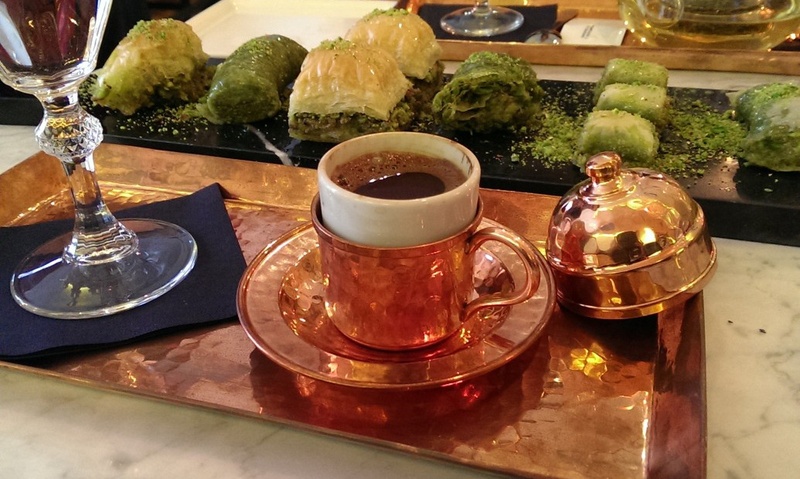 They serve sponge pastry rolls in syrup from Kemalpaşa as dessert. The venue is open on everyday between 12:00-22:00. Credit and meal cards are available. #KanGurular Gültekin U. 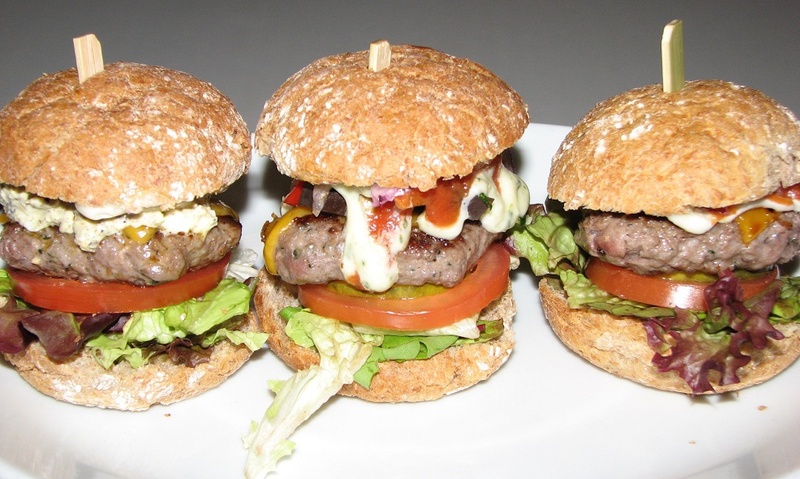 Taste: Meatballs are round shaped, juicy, light elastic and yummy as small portions. Blarney is regular and delicious with a nice olive oil. Faithful soup is a different taste and successful. 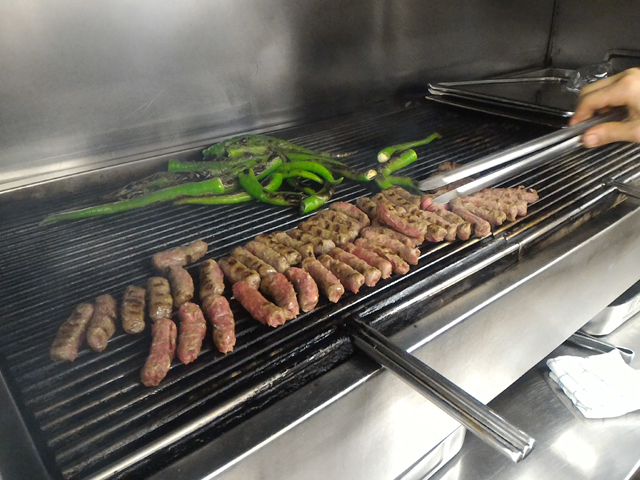 Braising: Meatballs are cooked by experienced hands of Master Hasan. The result is a juicy and cooked to a turn meatball. Portion Size: It is hard to be enough one portion. You should order directly 1,5 portion. Two persons are barely satisfied with blarney. Hygiene: It is a tiny, clean and nostalgic venue. Service: Meatballs were served in a reasonable time. The waiter was attentive and directs customer in a right way. Price: The prices are like that; Meatball is 20₺, blarney is 7₺, bottle buttermilk is 4,5₺, dessert is 6₺. The price of meatball is a bit expensive according to the portion. If you think that they make a carefully cattle breeding, you may partly tolerate it. The cost of buttermilk is expensive. Blarney and dessert costs are normal. 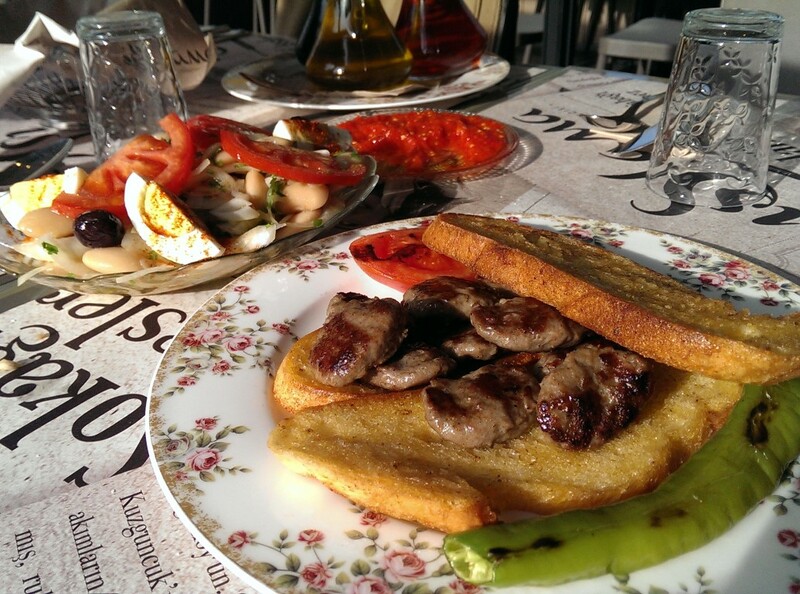 It is a meatball shop located in the courtyard next to Rüstempaşa Mosque at Tahtakale. It is hard to find it at first glance. Thanks to its blinking sign, it manages to show itself between shop density near it. I went to here in afternoon. Everybody has gathered at inside tables because of the cold weather. There was no free space. I placed the only free space next to someone at a table on that moment. You can easily recognize the aged and booth atmosphere of the venue. There is a facade with blue painted arch. 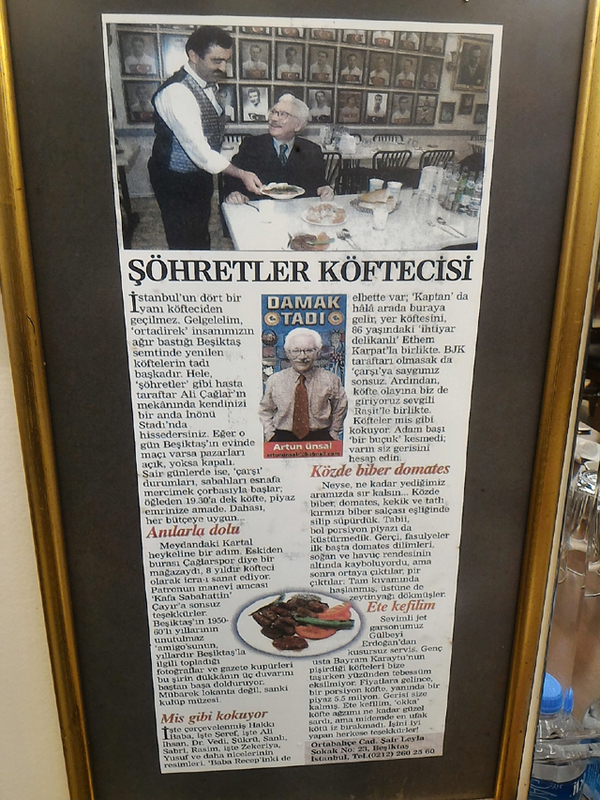 There was a writing of partly worn “Köfteci Yasar” on the window. Yes, Ş letter has converted into S. There is a few table at the outside; 7-8 tables at the inside. The inner area covered with white tiles and decoration is so simple. A calendar and some religious writings in Arabic hanged on the wall. Next to the kitchen part, there is a small sink. There was no wc. 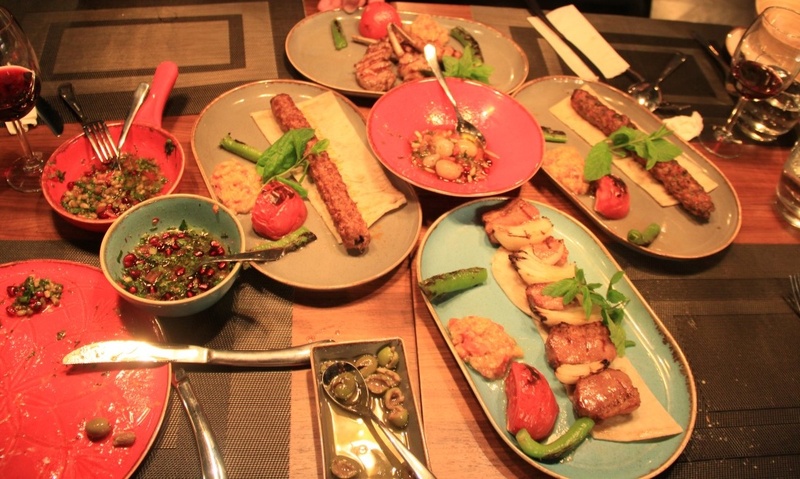 Master Ertuğrul at the grill is giving many directives to his rushing apprentice. He is also directing his customers by saying “Here you are.. here you are” on the other hand. Apprentice took my order immediately. I ordered meatball and blarney. One of the blarneys waiting in the fridge came to me. They only added some slim cut onion on top of it. Slim cut lettuce, carrot and fresh tomato were also put it. I wish they did not pour into sunflower oil instead of olive oil. Its portion size was ok but condense was too soft. There was no olive oil-vinegar couple on the tables. There were only ample bread, salt, thyme and red pepper. Before coming it a paper was put in front of me with fork&napkin. Portion consists 6 pieces of meatball with ample sliced tomato (some of them were grilled), pepper pickle and hot sauce as siding. I did not like too much the sauce but I liked his tomato lover style. Meatballs were grilled too much and some of them were burnt. Anyway, its consistence was soft and taste was not bad. It was the most hyperactive meatball restaurant. He was so busy that he left the last meatball by himself to my plate to complete the portion. Service was very fast. I partly ate blarney, finished the meatball. There was no open buttermilk. You can find Sütaş brand glass bottle or box buttermilk. I preferred glass one. I tried to learn something about the venue from Master Ertuğrul. He is son of Master Yaşar, owner of the venue and working as second generation. His father does not come to shop often as he used to be. This shop has been at the same place for 55 years. Before that, they have started as portable again at Eminönü. After they strolled a few places they decided to stay in here permanently. They are making meatballs from veal-lamb meat mixture. 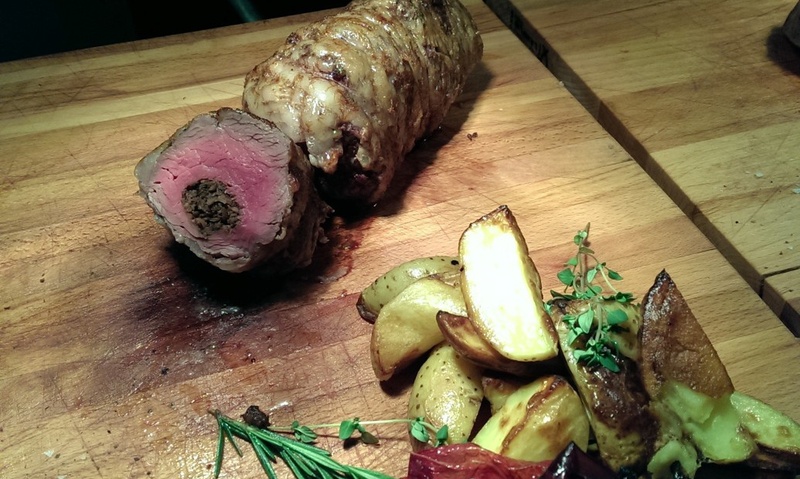 He emphasized by saying “If the lamb meat does not consist, it will not soft. Most of the meatball restaurants do not use lamb meat because of cost.” I ate a meatball that I can take the taste of meat, not too spicy. It had the problem of frozen of oil little. 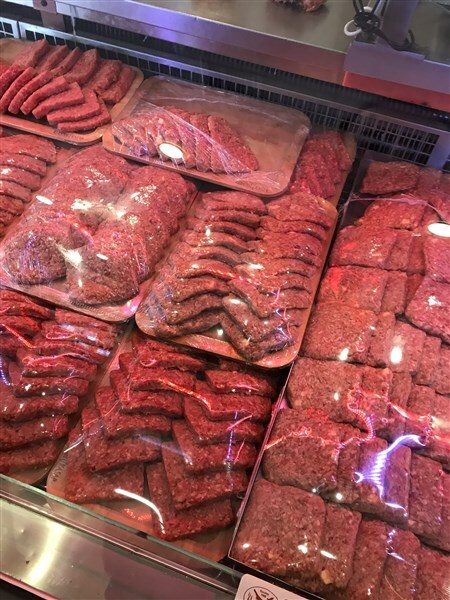 Minced meat prepared by themselves. Its mixture consists cumin, salt, thyme. That’s all. I do not know its weight but they have a normal portion composed of 6 pieces like as many meatball restaurants. 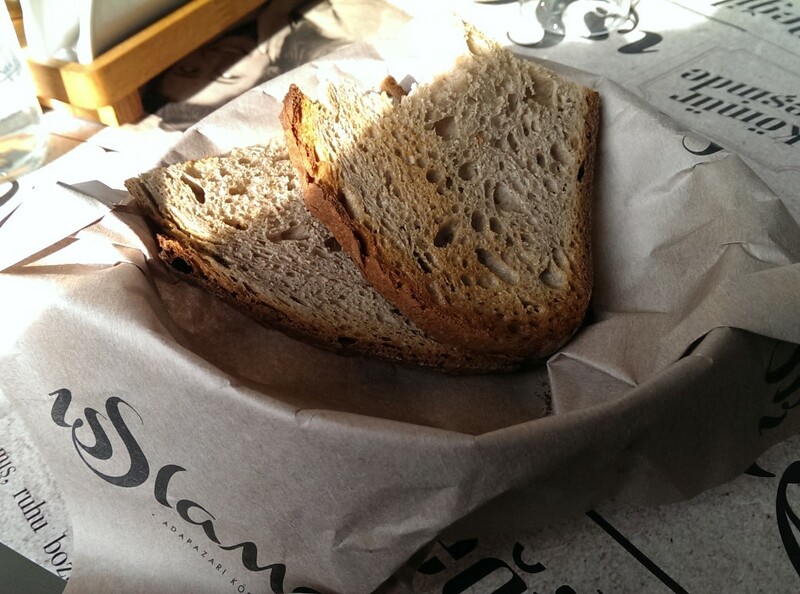 It is reasonable to order 1 ½ portion if you will not eat blarney or bread. 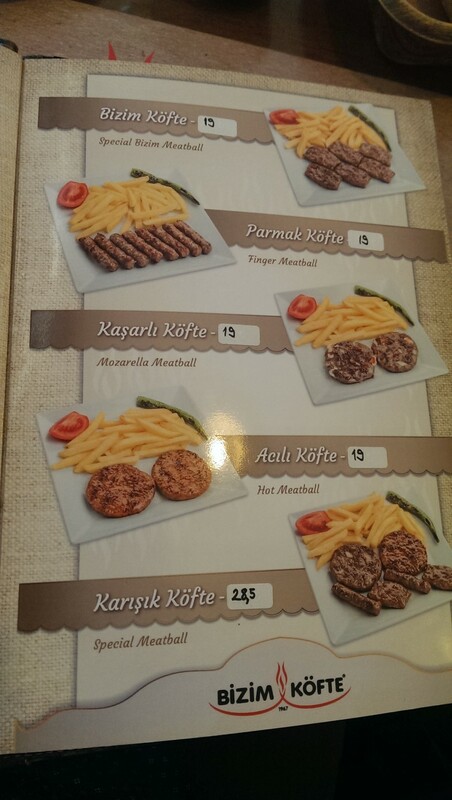 You can find kidney, steak and lamb skewer except meatball. There is no soup or dessert option. Prices are normal according to portion and venue. They are very weak in respect of hygiene. I thought that because of a dirty knife and some salad remnants on the counter. It is a very booth place. It is a meatball restaurant that it has own regular mass and do not need to advertise. It is open every day between 10.00-18.00 except Sunday. 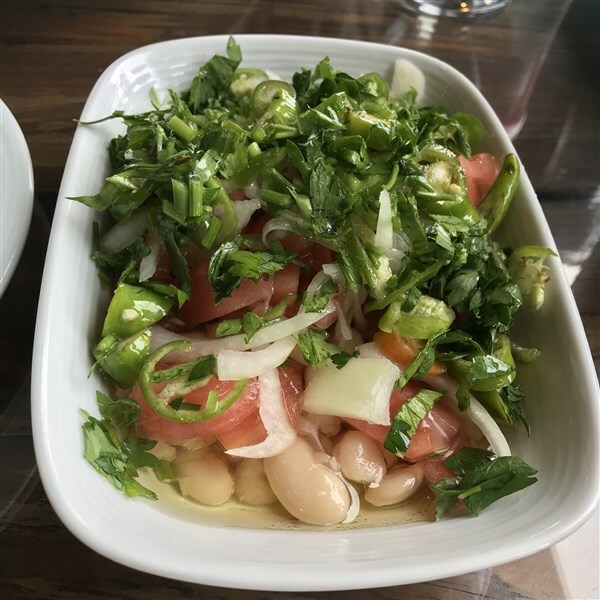 #KanGurular Erşen T.
Taste: The venue prepare the minced meat by itself and I liked its taste due to I did not feel spice dominance. Their outer layers burnt too much because of barbeque fire. I am not sure that to use vinegar to put out the fire add a special taste to it or not. I ate a soft and not much juicy one. They should be developed themselves about blarney and warn them if you go there on not using sunflower oil instead of olive oil. Braising: Meatballs were cooked a bit much for me but their insides were not dry too much. I think the master got hurry to rush orders off customers. However, I ate a meatball over standard in respect of taste. Portion size: It consists 6 pieces of meatball. It is normal for me. Fried half of bread is also coming as siding. The portion of blarney was also normal. Hygiene: It is a booth venue and this situation is glaring. It might be disturb you if you are a sensitive person about hygiene. 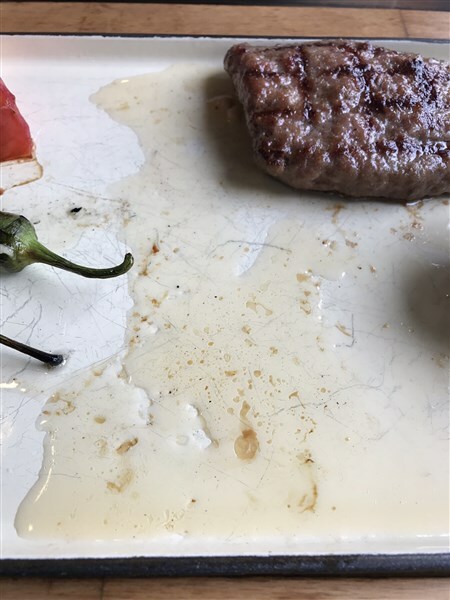 The dirty counter near grill and sloppy cleaned tables were left a negative impression on me. Service: I have not experienced so fast and sincere service until now. The master and his apprentice were like lightning. You can disturb because of extreme speed not slow one. You can feel that you should leave immediately after having your meal. Customer demand is dense. Price: The cost of portion meatball is 16₺, blarney is 5₺, butter milk is 2₺. These are normal prices according to atmosphere and size. 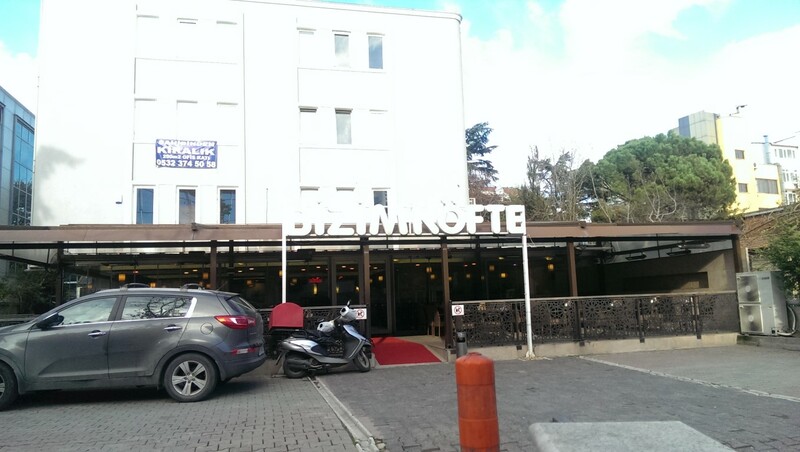 It is a very big, two storey meatball restaurant near Kağıthane Municipality, on Bağlar Avenue. At first, we were curious about the root of its name. It has a story we never guessed. We thought they have impressed from Cumalıkızık or someone by name Cumali. However, some important decisions like the opening of here coincided with Fridays. That is why they put the name of Cumalı. It opened 3 years ago. The venue is ideal especially for families with children and crowded groups. It has kinder garden area inside, parly parking area outside. Thanks to there are some offices next to it. 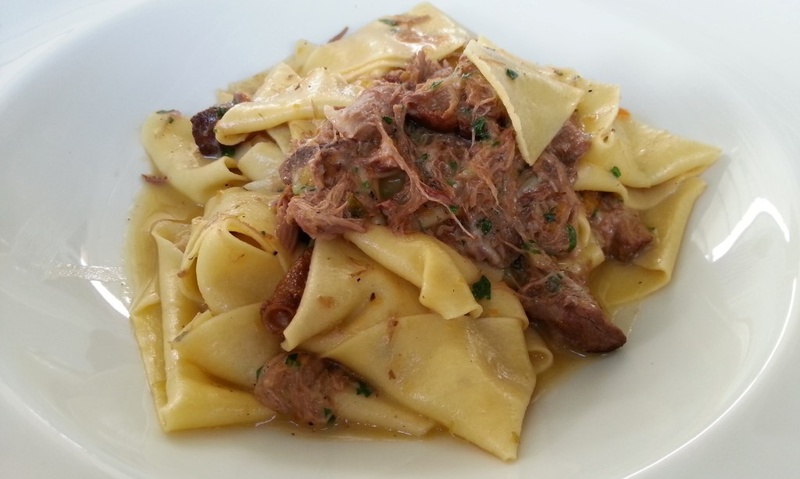 It is an attractive option for lunch. Meatballs are prepared completely from veal meat. 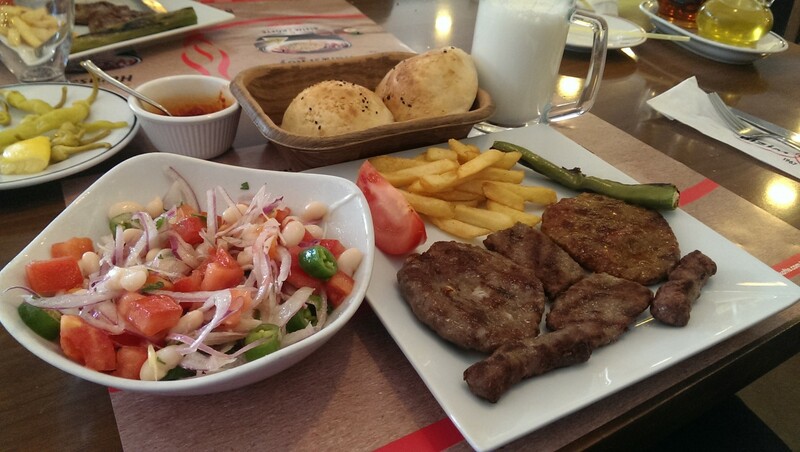 There are grilled (21₺) and pita meatball kinds (23₺) in the menu. The meatball with pita draw our attention and we wanted to try it. Pita meatball is like alexander kebab. It is serving as meatball version of it. Pita pieces on the bottom, meatballs as topping. 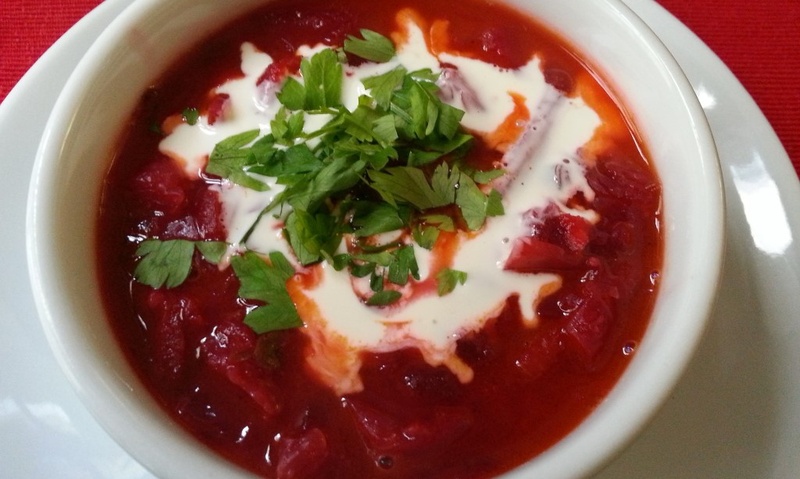 It is very satisfying with tomato paste&butter sauce and yoghurt. Meatballs were a bit thin. They were too much cooked on the grill. Although the sauce and butter I did not take a perfect taste unfortunately. We also ordered blarney (9₺) as siding. Due to the ample greens, it was like lettuce salad than blarney. Its taste was not like blarney we wanted.#KanGurular Fuat Ş. Taste: The meatballs with pita were cooked too much and did not create a taste explosion although its sauce and ample butter. Braising: Meatballs should have cooked carefully. They were thin and dry. Portion Size: It was very satisfying with pita and yoghurt. Hygiene: The venue is spacious, high ceiling and very clean. Service: Due to I visited on a calm time, service pace did not become a problem. Price: The price of meatball is high but it is satisfying according to its portion. The blarney was also abundant. #KanGurular Fuat Ş. 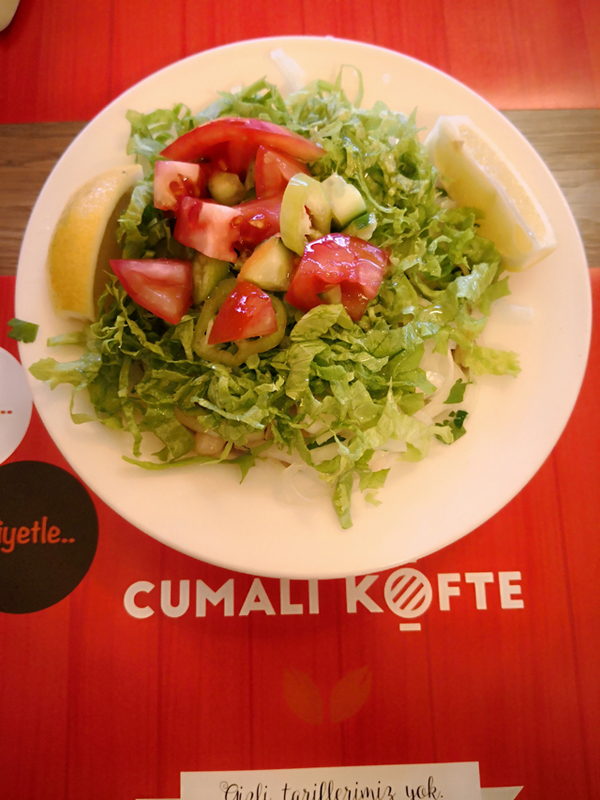 This meatball shop, one of the newly opened venues of Karaköy, is located on Mumhane Avenue. 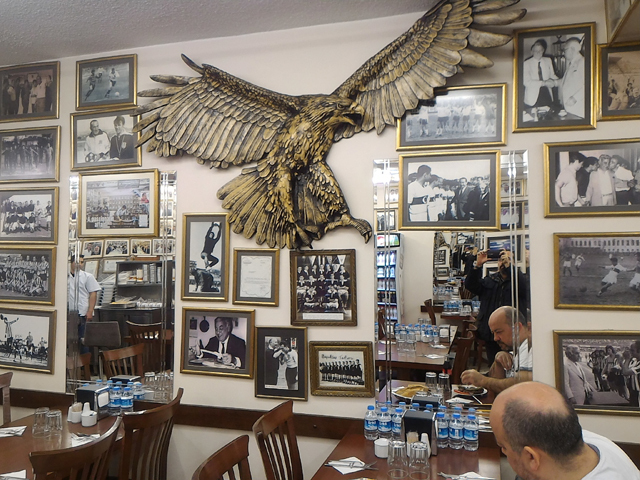 His grandfather Şükrü Tekinel has opened “Gençlik Restaurant” at Karaköy in 1960. 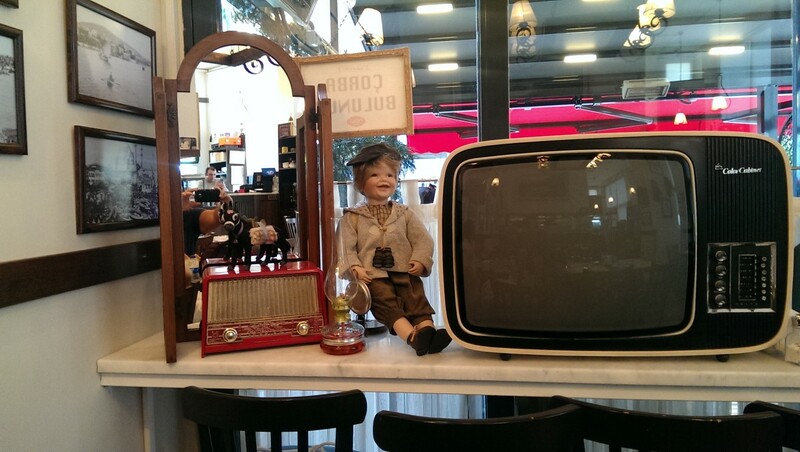 This restaurant has used in a scene partaking in a movie called “Seni Benden Alamazlar” making in 1961. 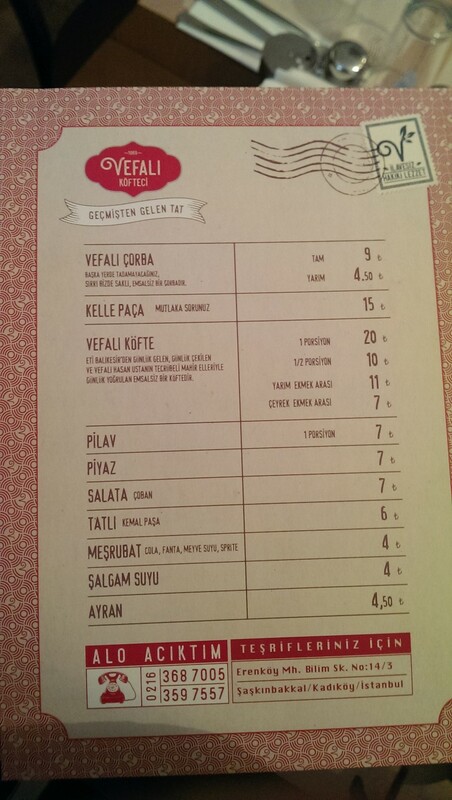 The person served meatball was Şükrü Tekinel. There were also stew kinds except meatball as it is now. The venue takes the name from its location. They have started to use the current name by combining the names of Rıhtım Avenue and Galata Şarap İskelesi Street. Their current place is the other corner of their first shop. The third generation owner of the venue is Tuncay Türkay Tekinel after his father, Ziyaeddin Tekinel. Their roots are connected with an emigrant family from Skopje. The venue makes Rumeli style meatball due to the family roots. I have visited the venue, opened one year ago, before for dinner and I have tried the meatball. I have found it as average for then. After a long time, this time I wanted to try it for lunch. The venue is usually busy for lunch like many venues. They are also serve olive oil food and stew kinds except meatball. A boutique breakfast is served besides there were five days in a week. 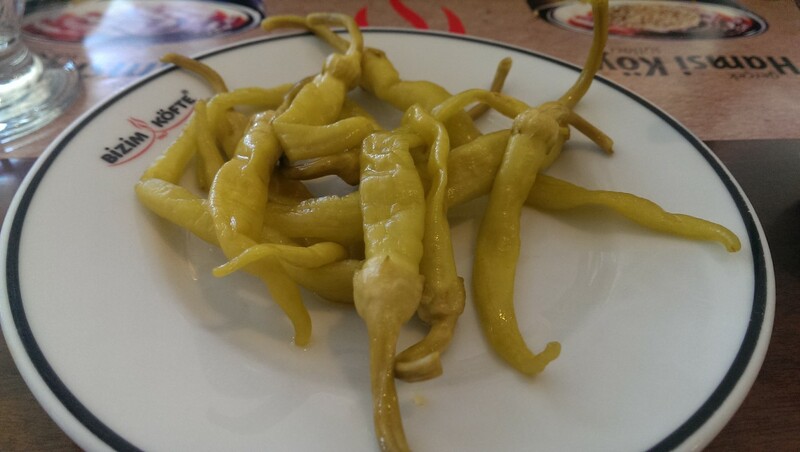 There is a light hot pepper sauce on the table. Blarney is serving with carrot, lettuce, olive and onion as you wish. Its portion size was satisfying and beans hasbeen boiled to a turn. I found the taste of meatball was more successful&developed according to my previous visit. It was a satisfying plate in respect of weight. If you will eat 1 ½ portion meatball; it might be better not to order blarney. 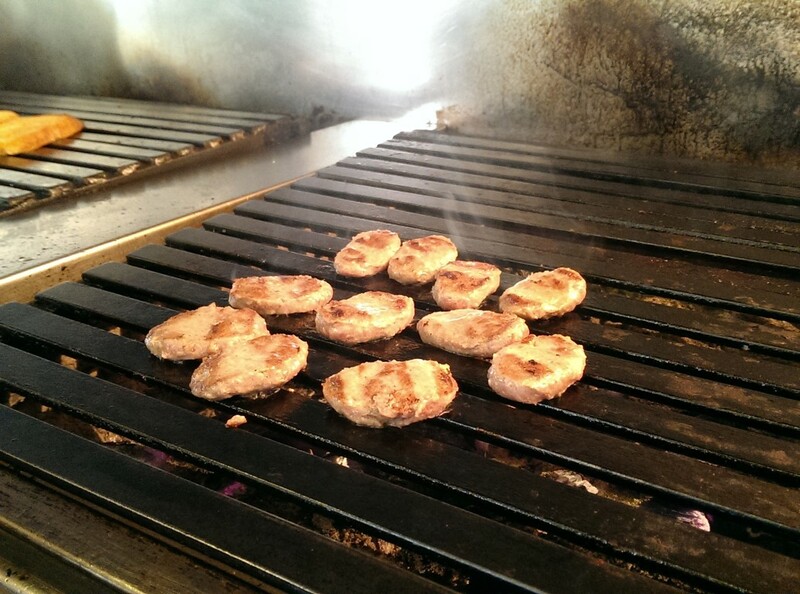 Meatballs are grilled on coalfire by the gifted hands of Master Hasan. He is cooks meatball along almost 40 years. I made a short conversation while he was trying to prepare the orders. Meatballs are preparing at the venue almost in two hours. His hands were become fast thanks to the experience for years. There is no open butter milk. 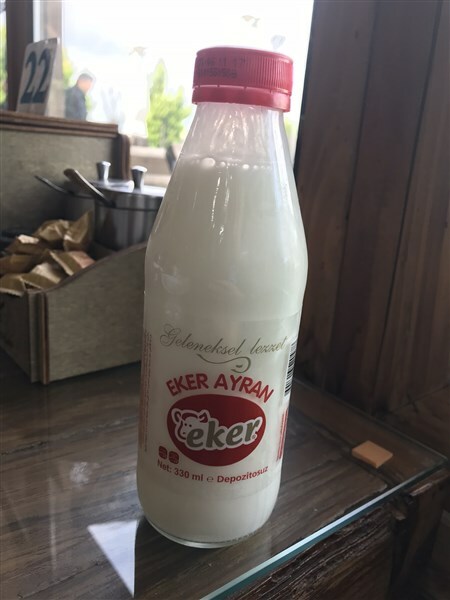 You can find buttermilk Yörsan brand. You can eat pumpkin dessert, rice pudding and milky kadaifi according to season. The venue is open everyday. It is open between 08.00-23.00 for weekdays, 08:00-01.00 for weekends. Credit and meal cards are available. 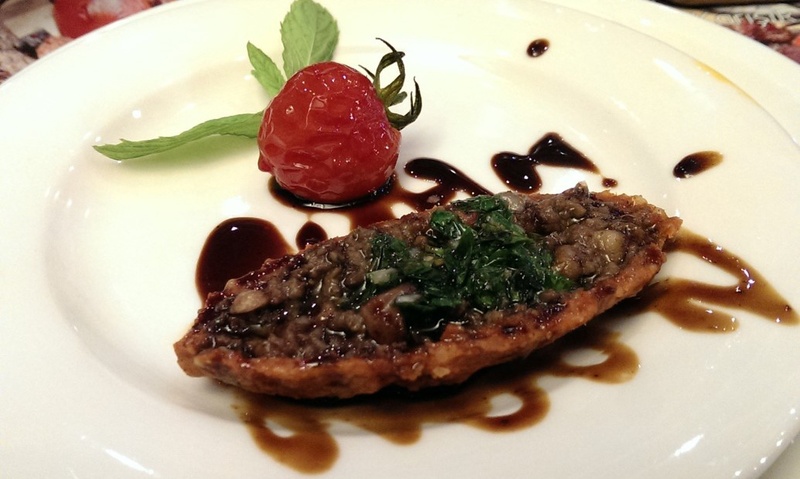 It is not a classic meatball restaurant with its general accommodation and wide menu. 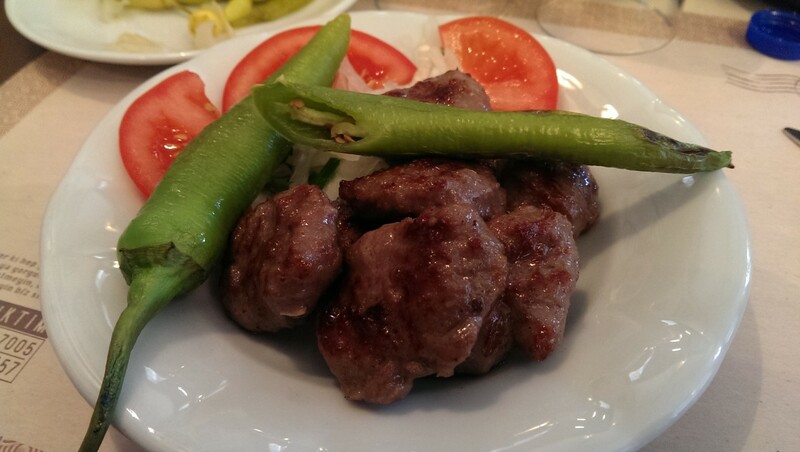 #KanGurular Erşen T.
Taste: Meatball is almost totally made of veal. 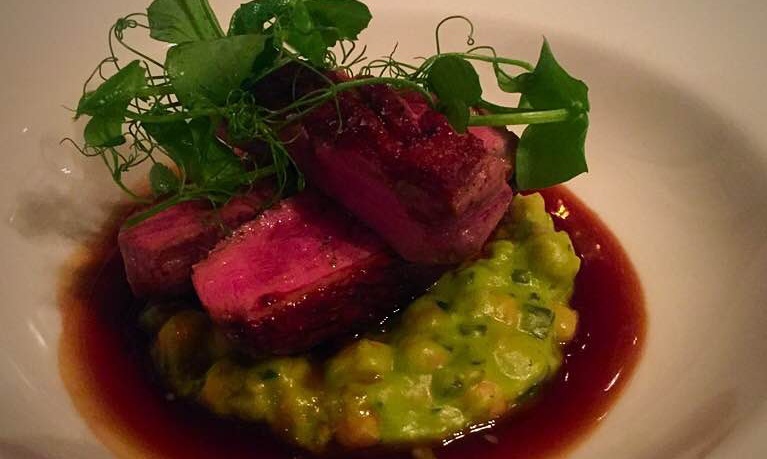 It is only added %5 lamb meat to give shiny. 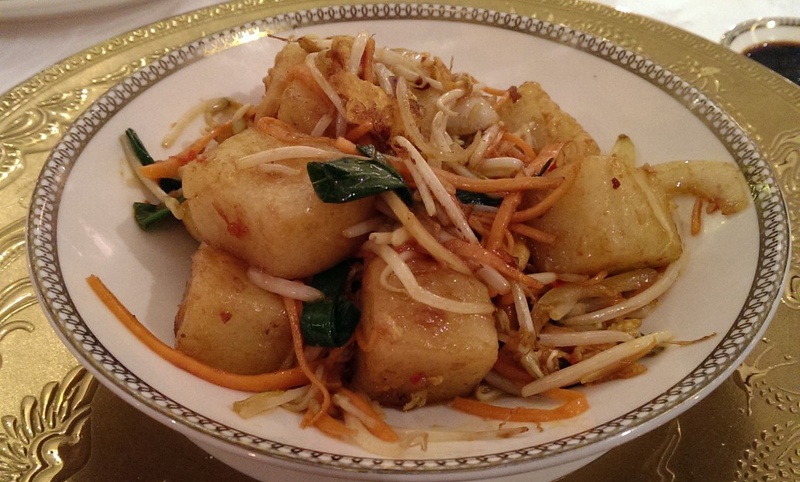 There is not use any spice in its mixture. They use only onion and bread. The meat is coming from Afyon&Balıkesir. I ate a not a perfect but tasty meatball. Its shape was like Inegöl meatball but softer than it. Braising: Meatballs were cooked in a turn without making dry. Portion Size: It consists 6 pieces of meatball. It weights is 170-180 grams. It is serving mashed potato&pepper pickle. If you visit here on summer, garnitures are changed as tomato&green pepper. It was a satisfying plate. Hygiene: I did noy any inconvenience at the venue in respect of hygiene. It was even a more coordinated and clean venue according to most places. Service: My orders cameto table in a short time. It had a dynamic service. Price: The cost of portion meatball is 17₺; meatball with cheese is 18₺, blarney is 6₺. Prices are modest according to weight, among its kind and neihgbourhood. The cost of meatball-blarney-buttermilk menu is 26₺.